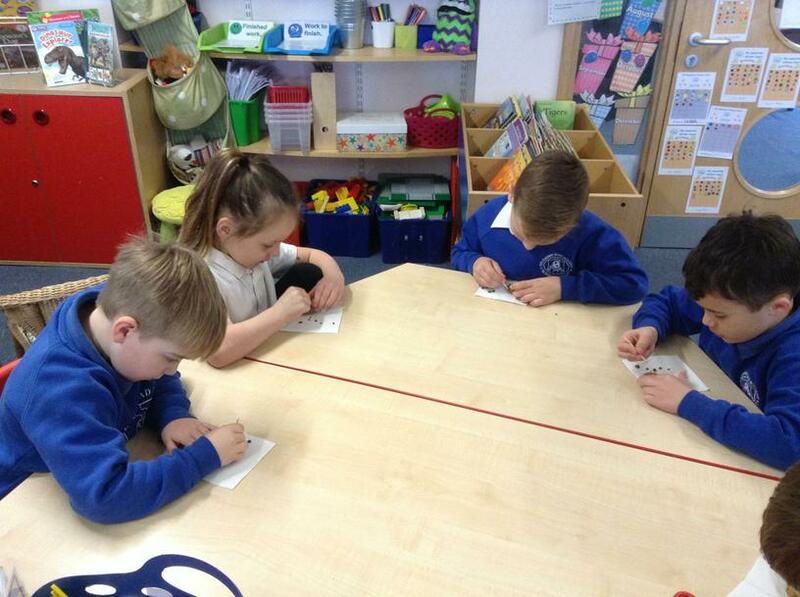 We have been learning about poetry this week in Year 1. 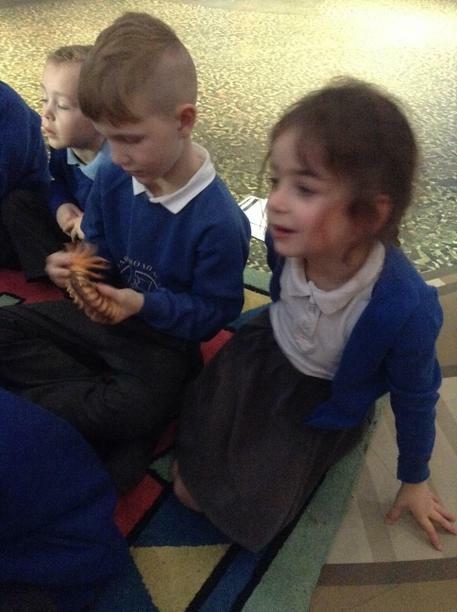 All week we have been learning two dinosaur poems by heart. 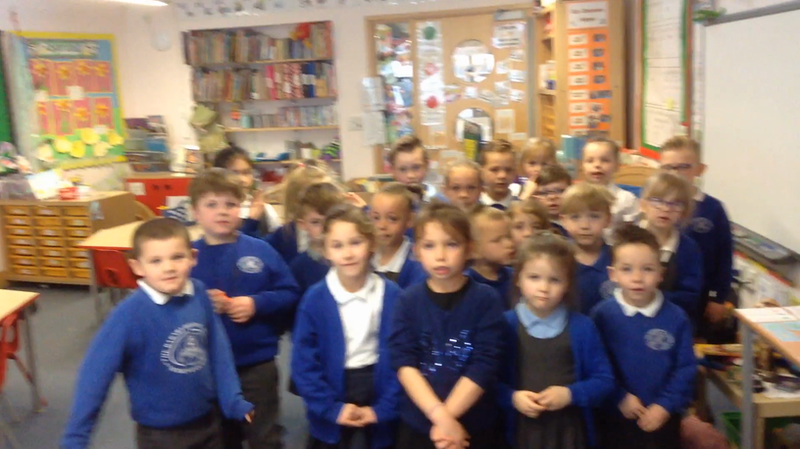 Have a look at us performing our poems! 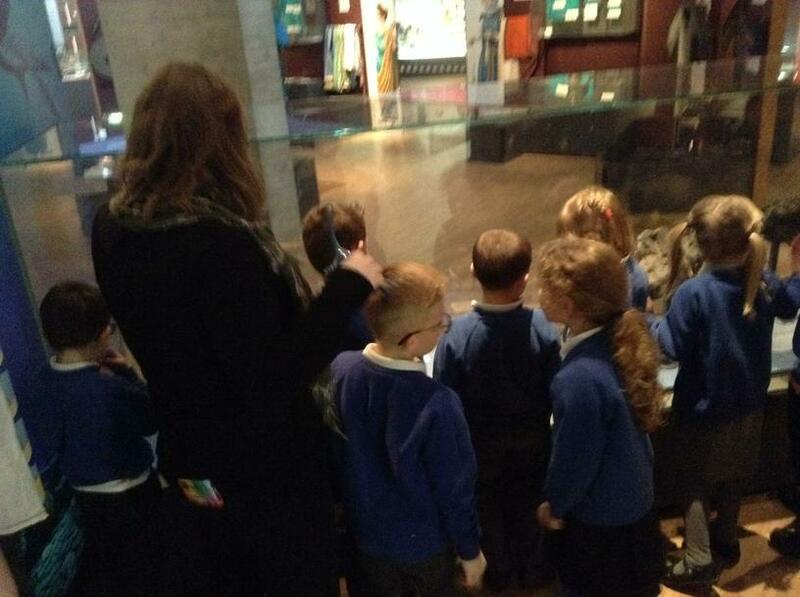 Meerkats had a brilliant trip to The Collection! 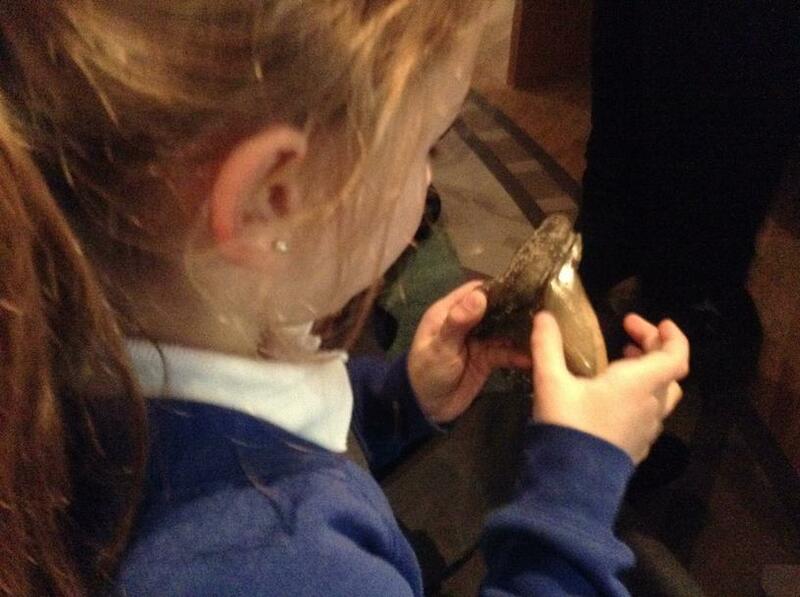 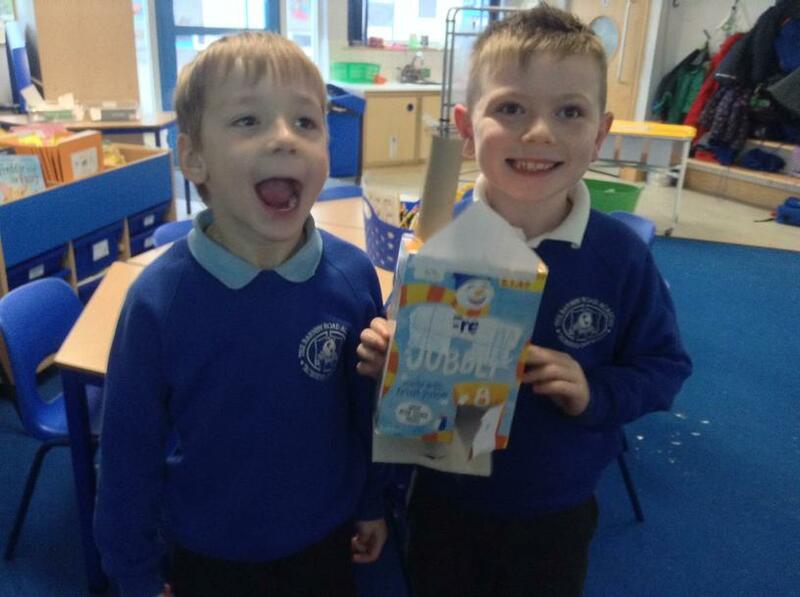 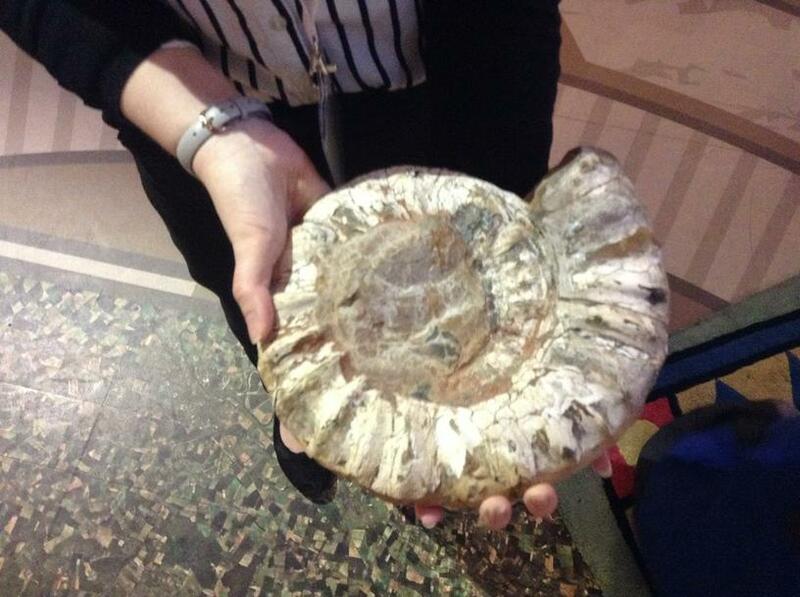 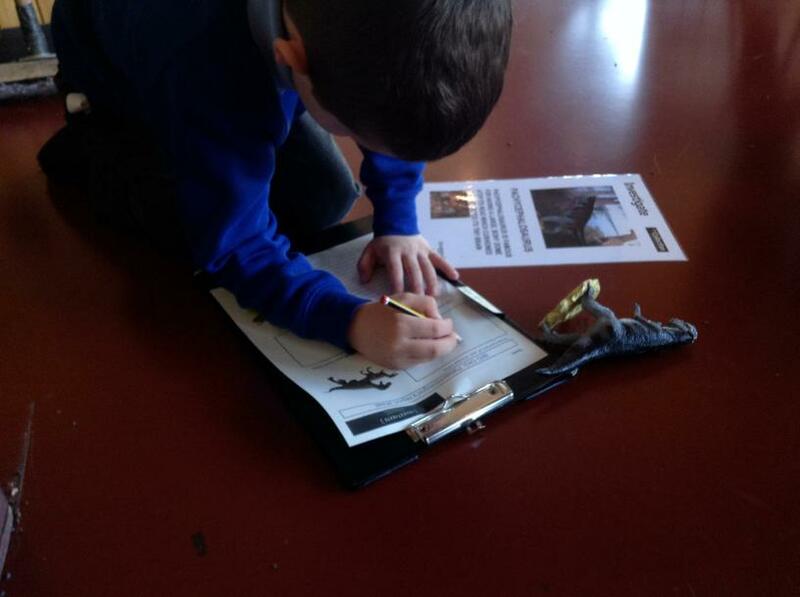 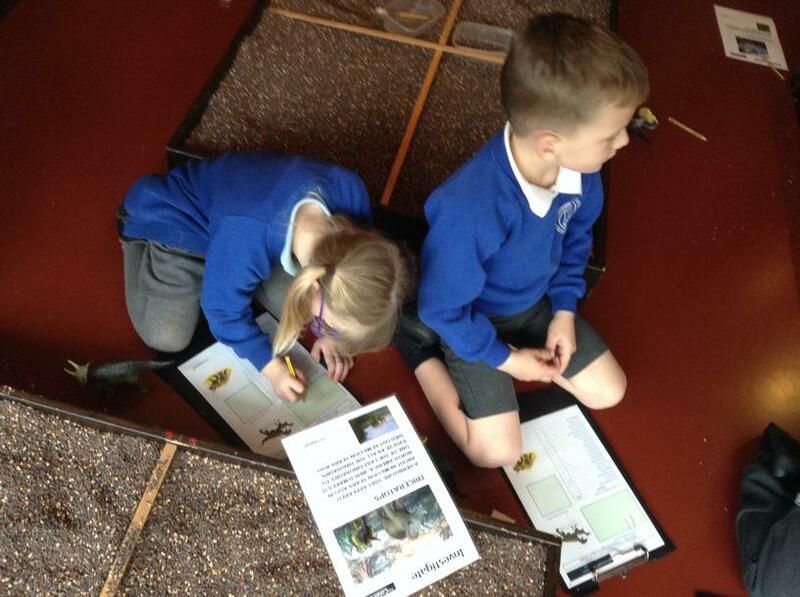 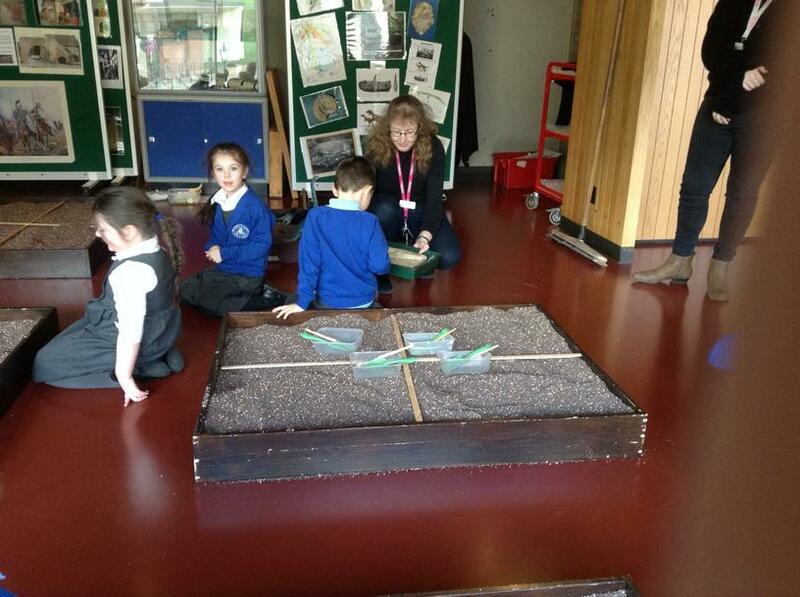 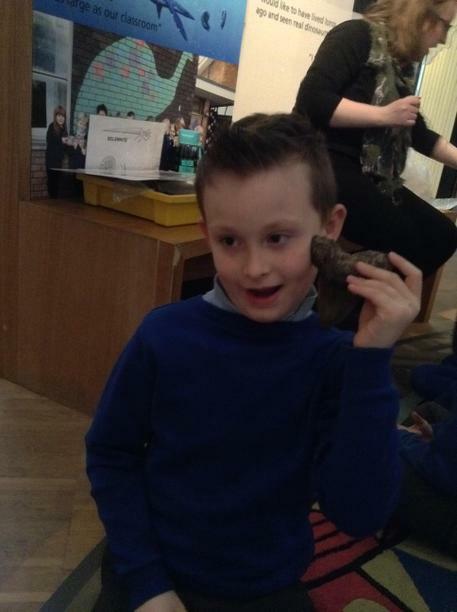 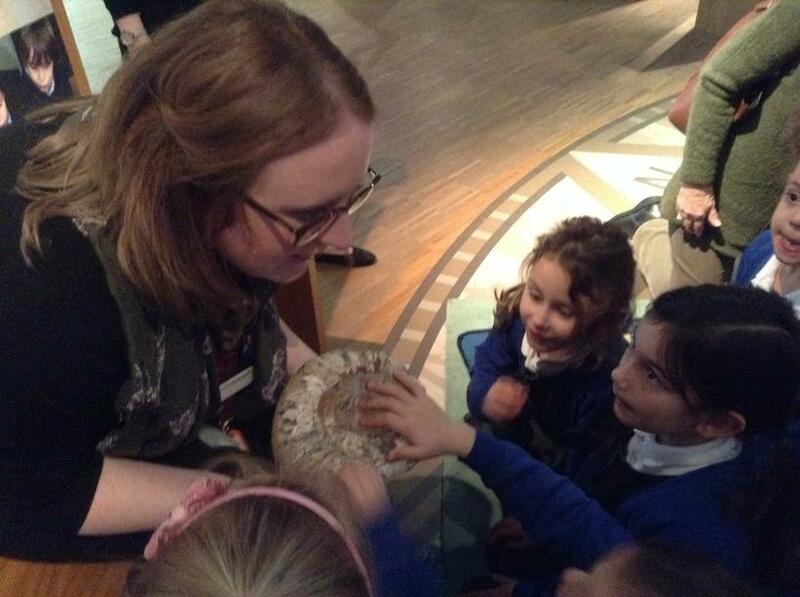 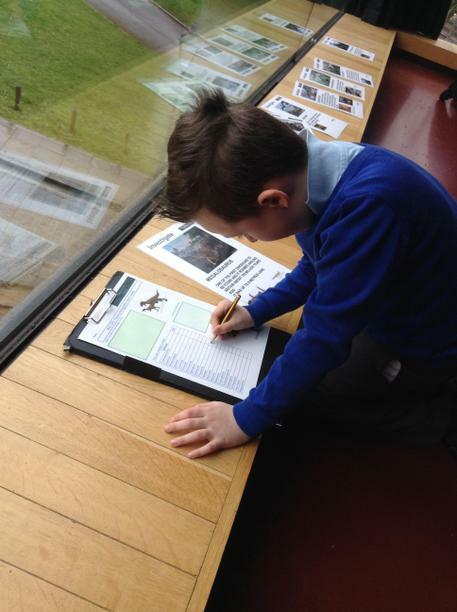 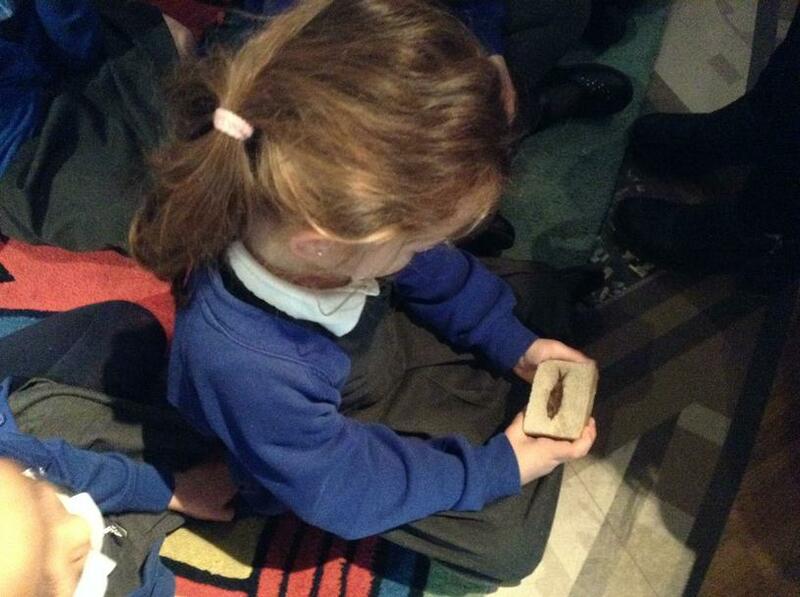 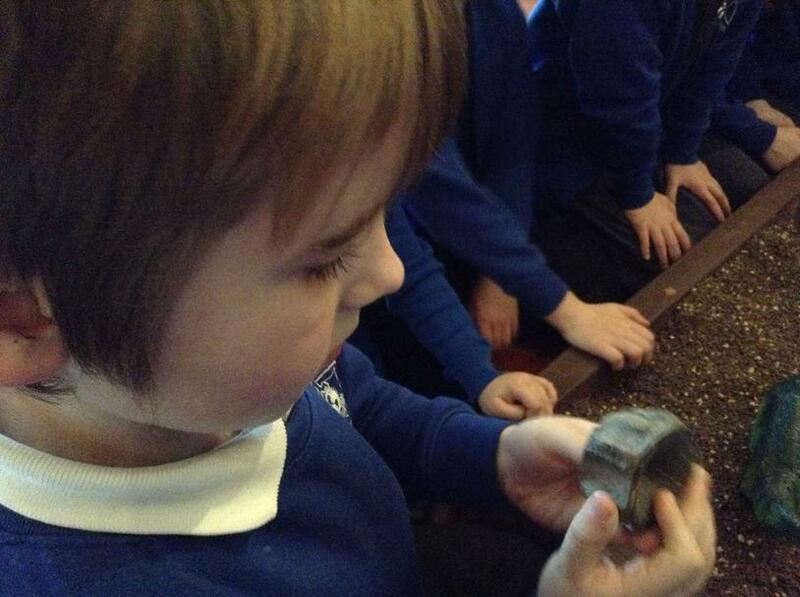 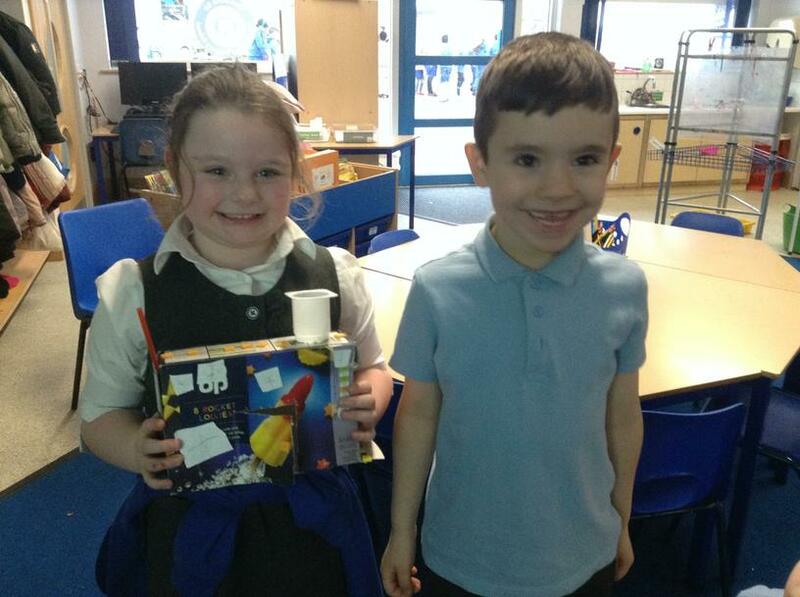 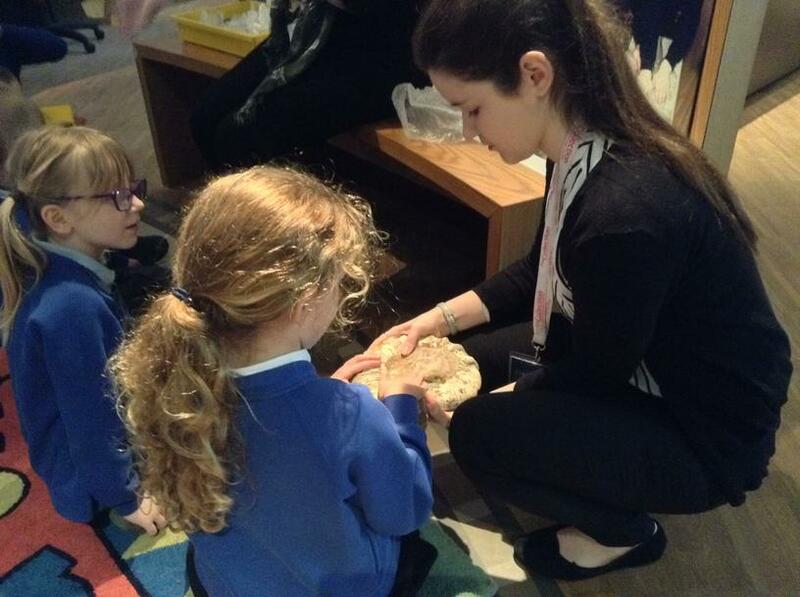 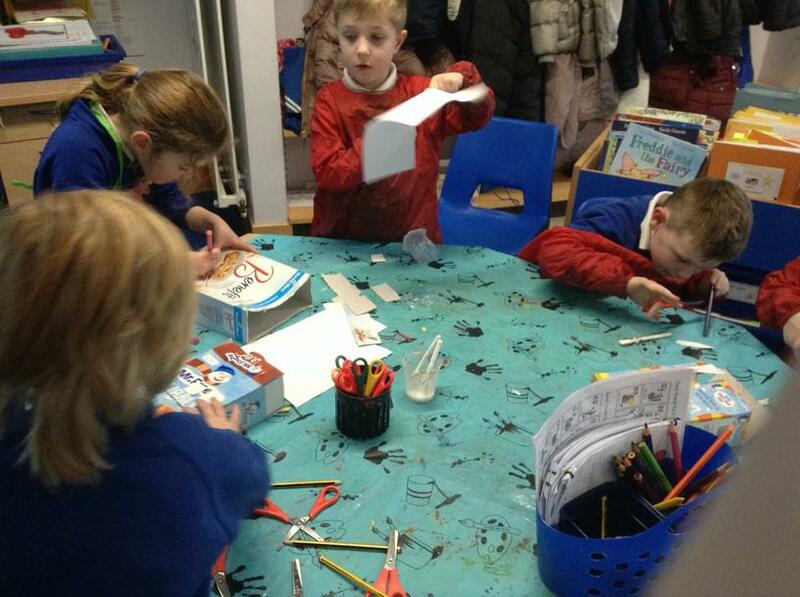 They explored real fossils and had a chance to show off what they have learnt so far about dinosaurs. 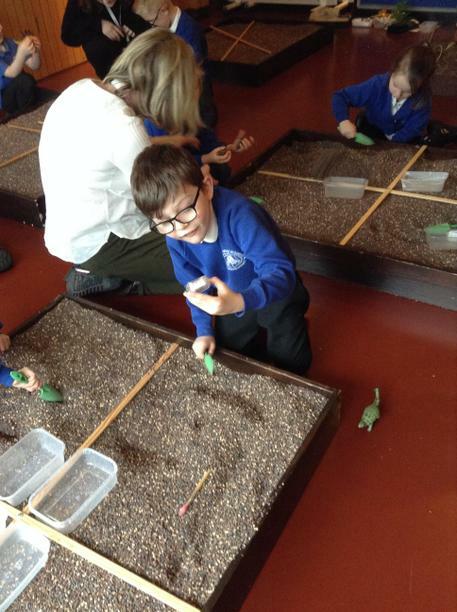 Meerkats favourite activity was definitely having the chance to be a palaeontologist and dig for dinosaur fossils in the crumb. 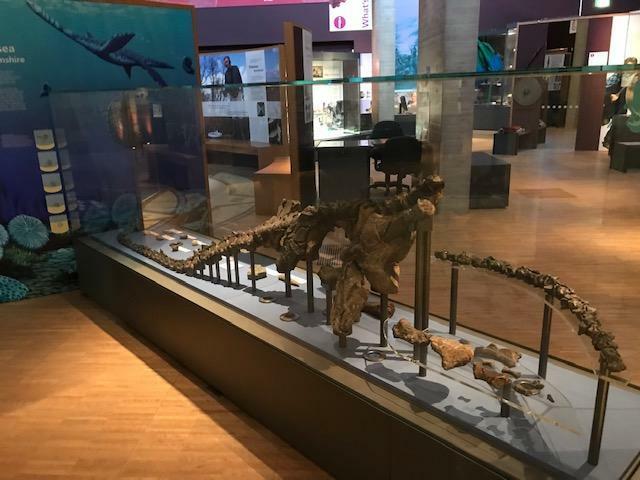 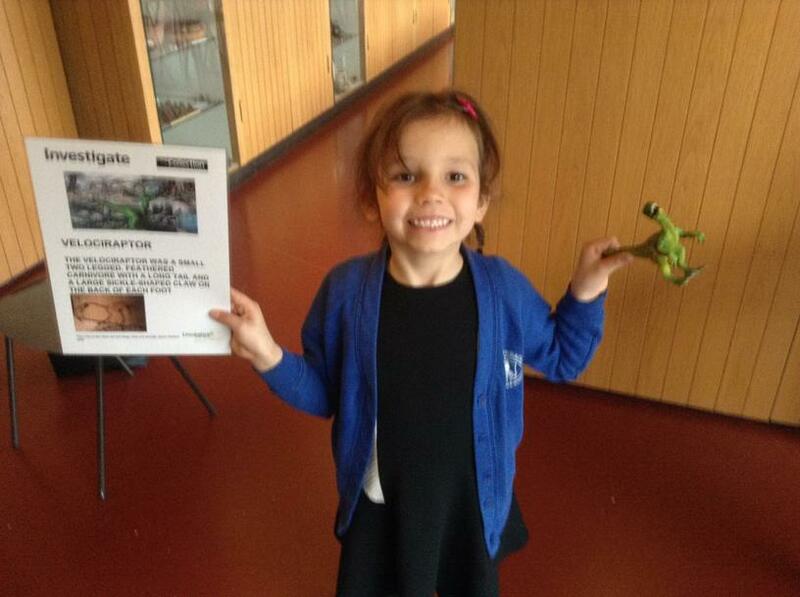 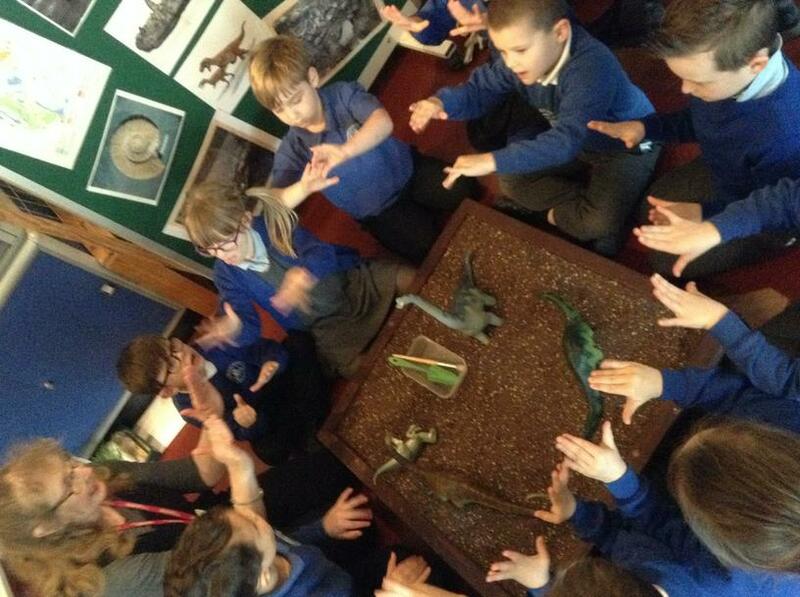 Tigers' Dinosaur Fun at The Collection! 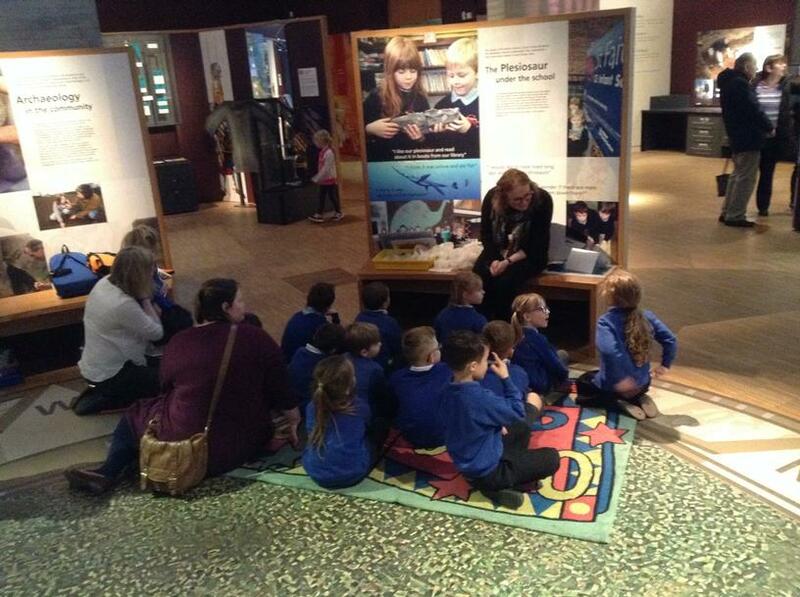 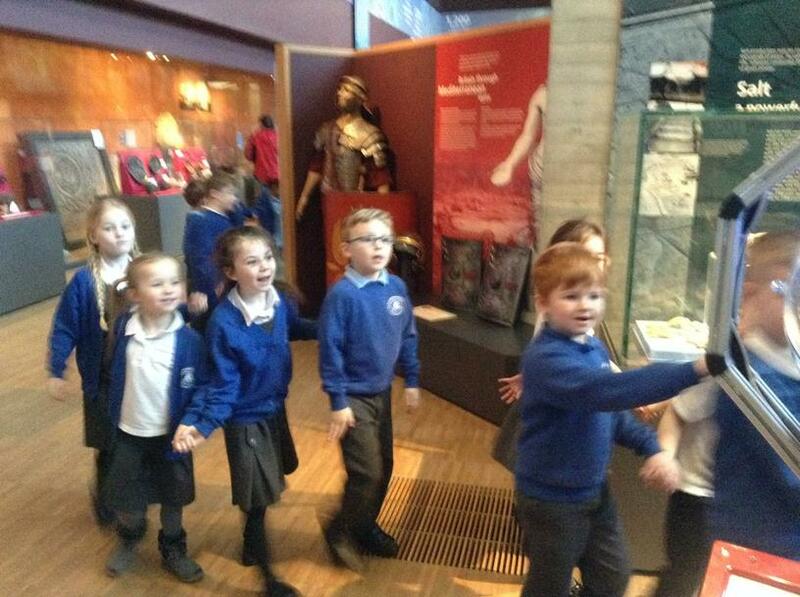 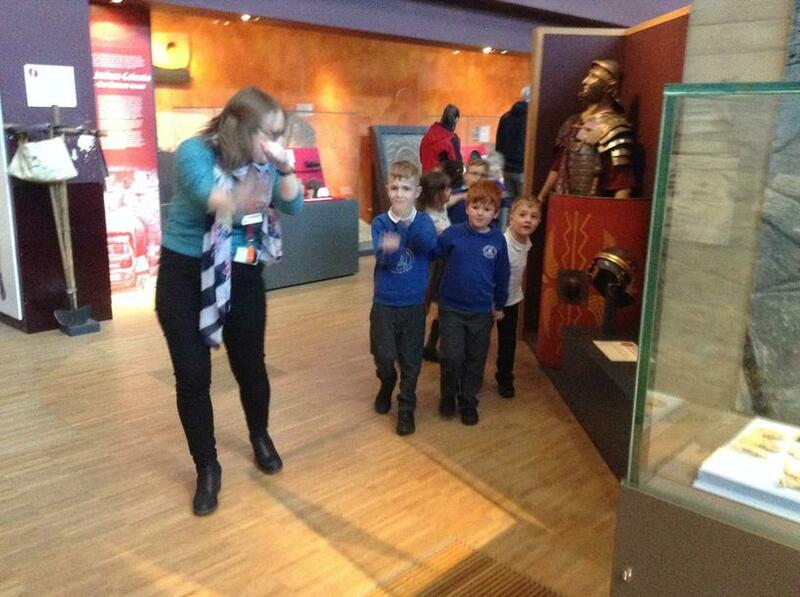 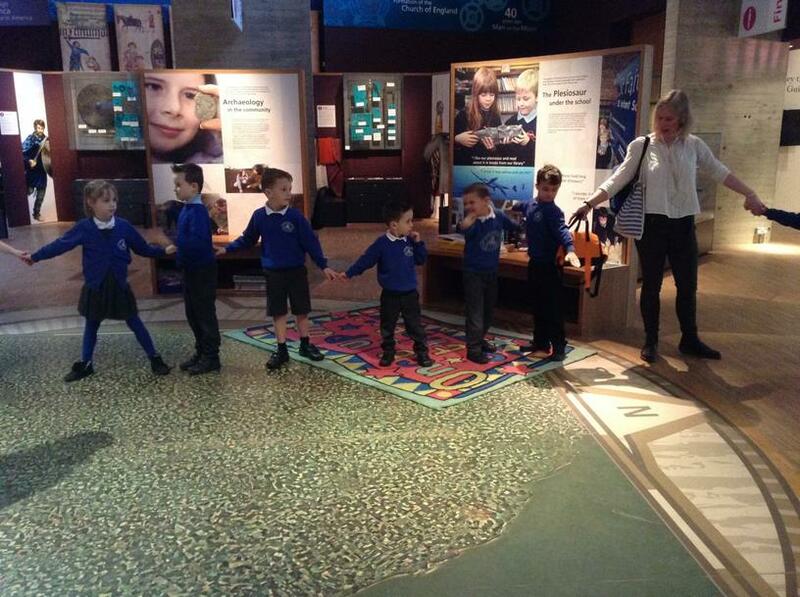 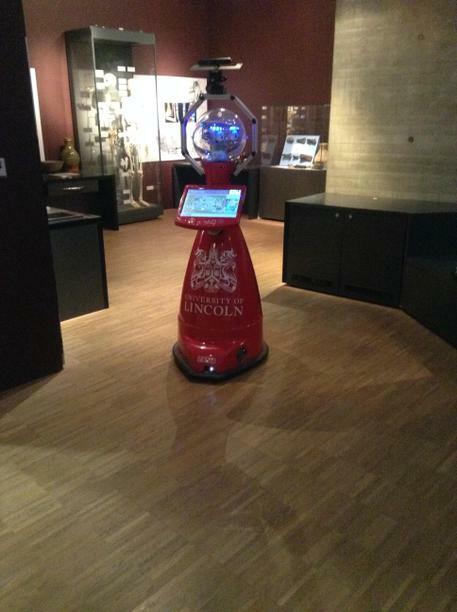 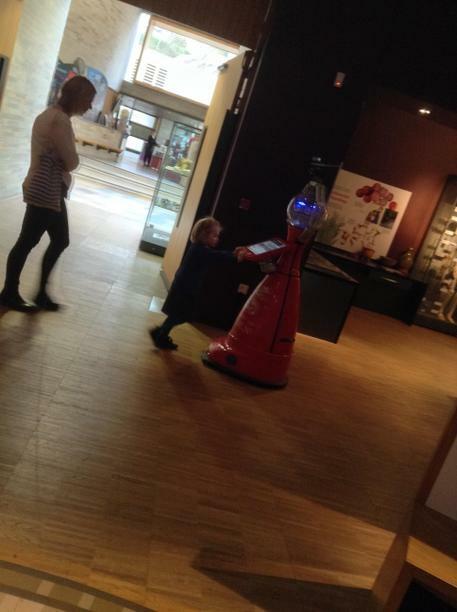 The Tigers' class had a great time at The Collection. 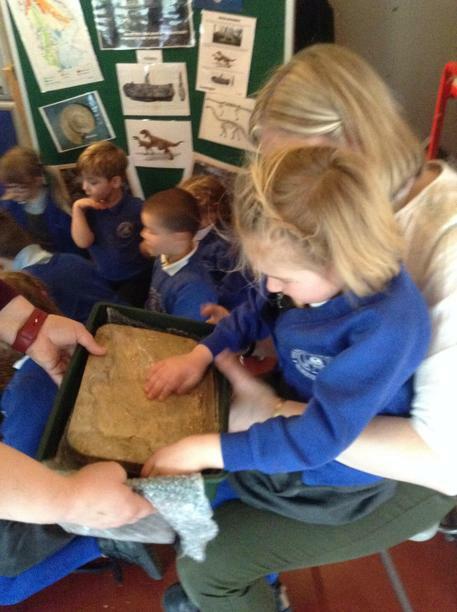 We handled some real dinosaur fossils, looked closely at the skeleton of a plesiosaur and joined together to find out how big it was. 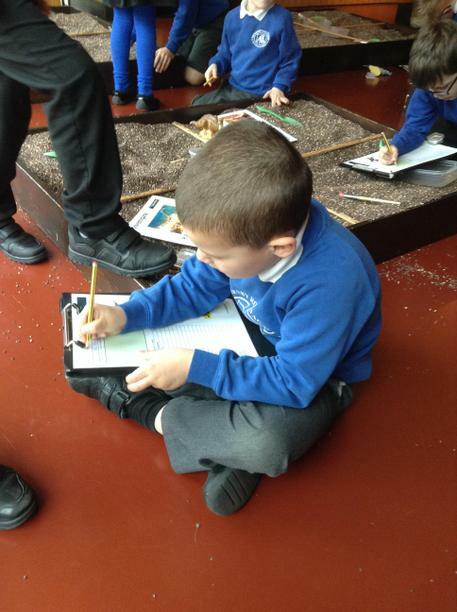 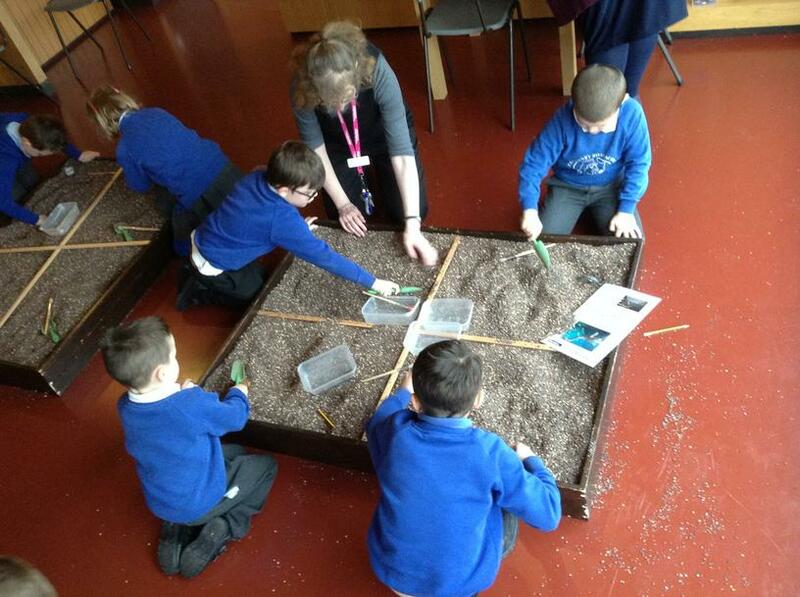 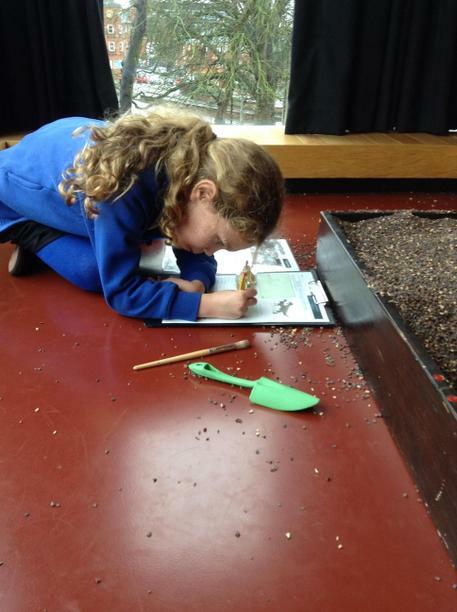 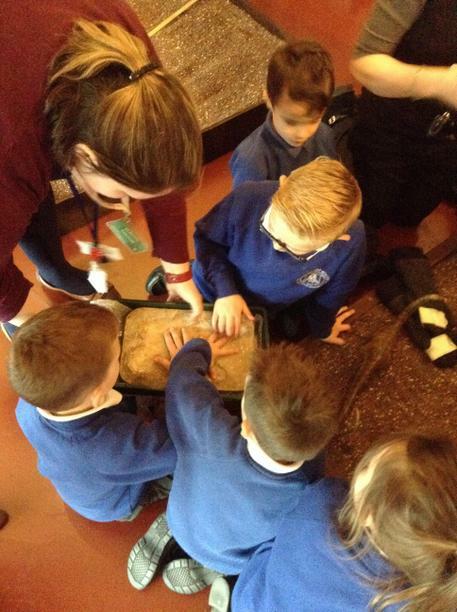 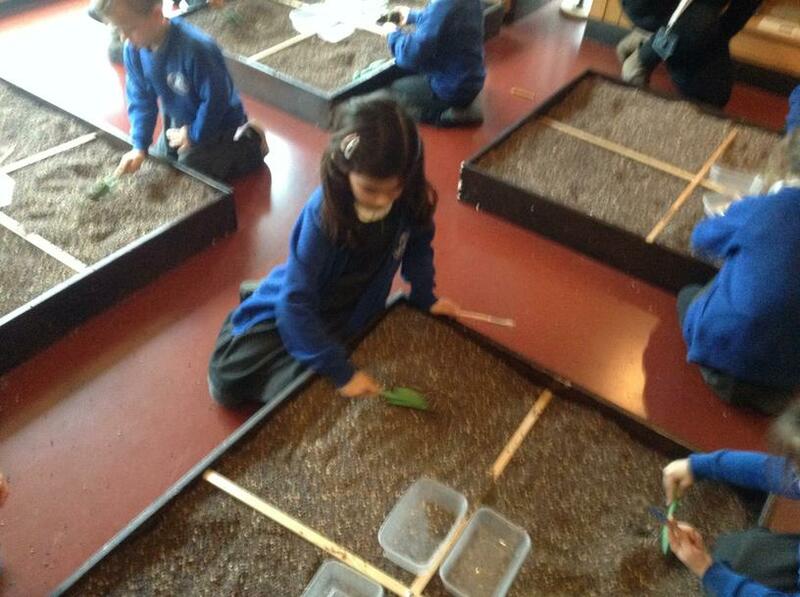 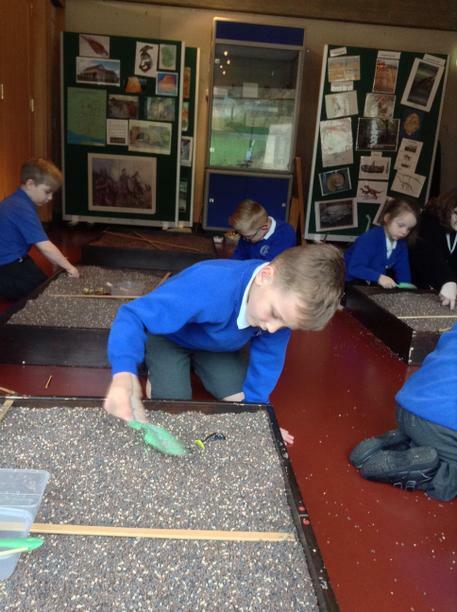 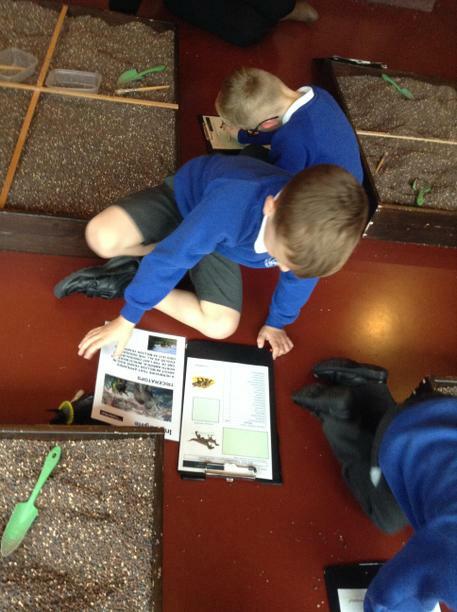 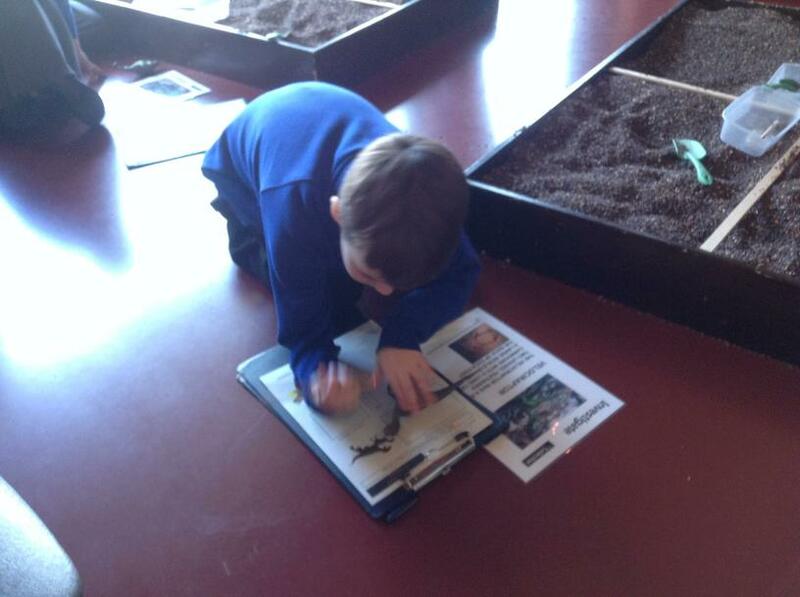 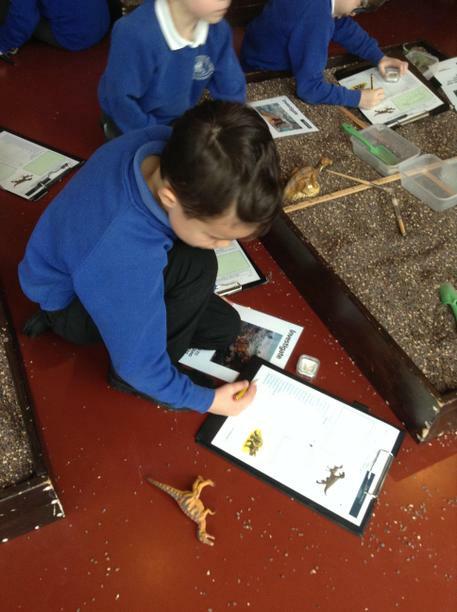 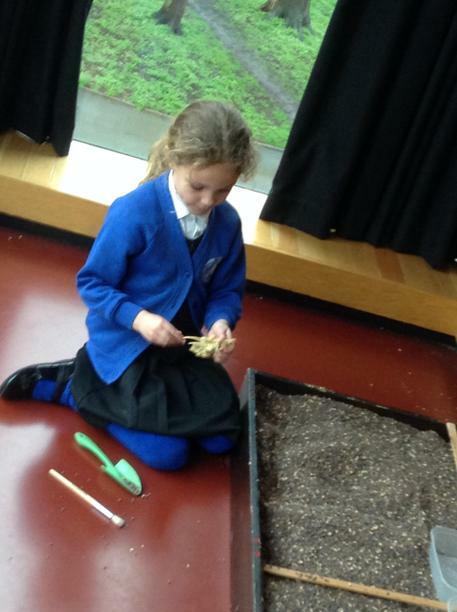 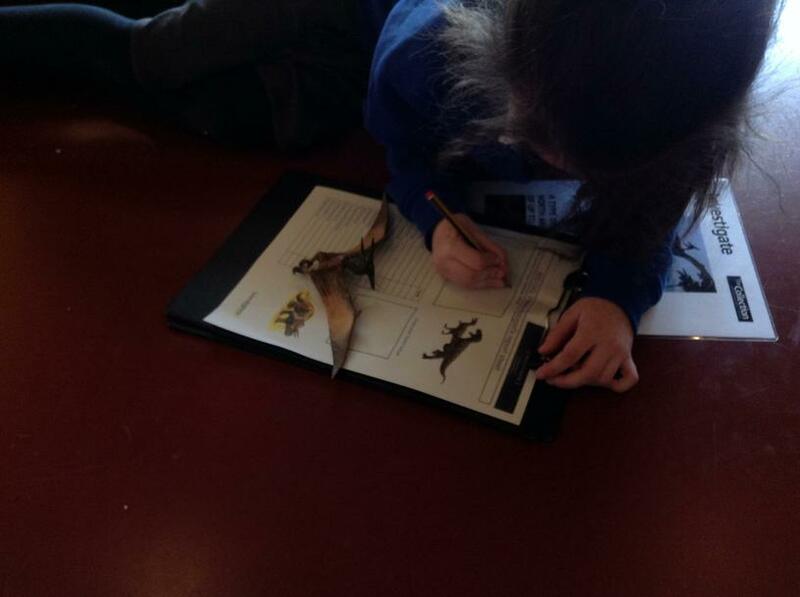 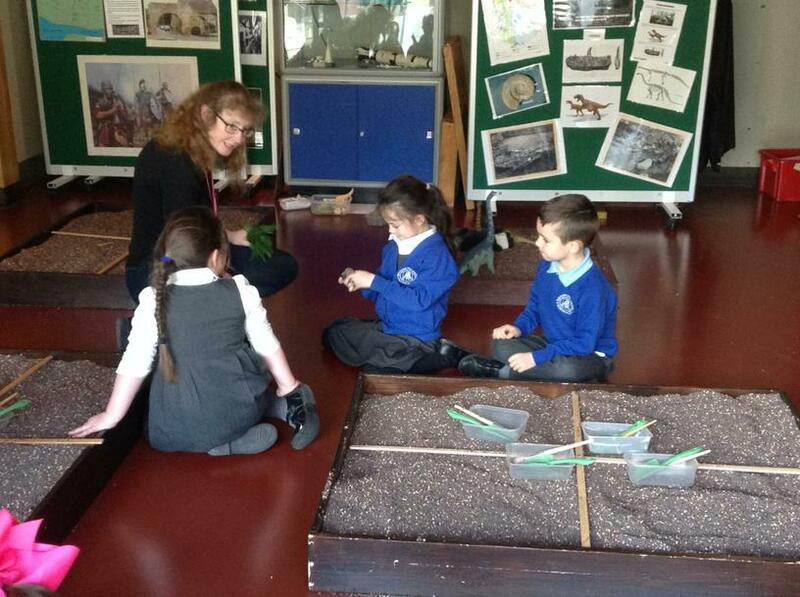 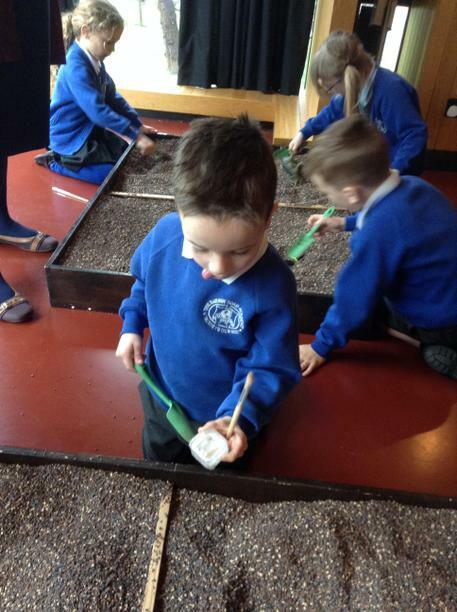 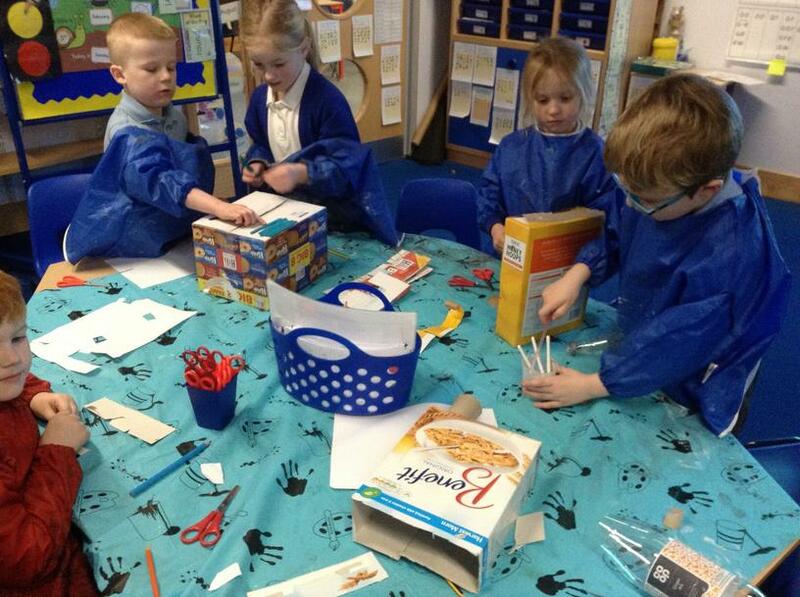 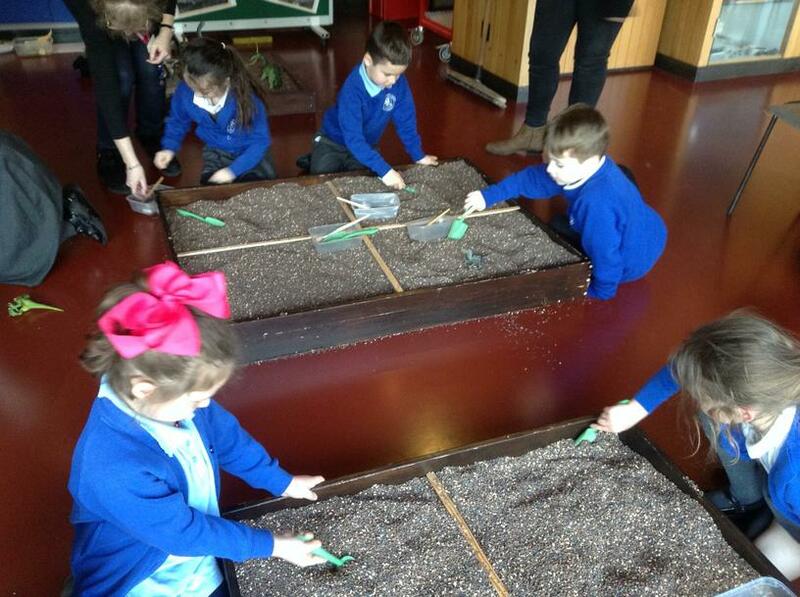 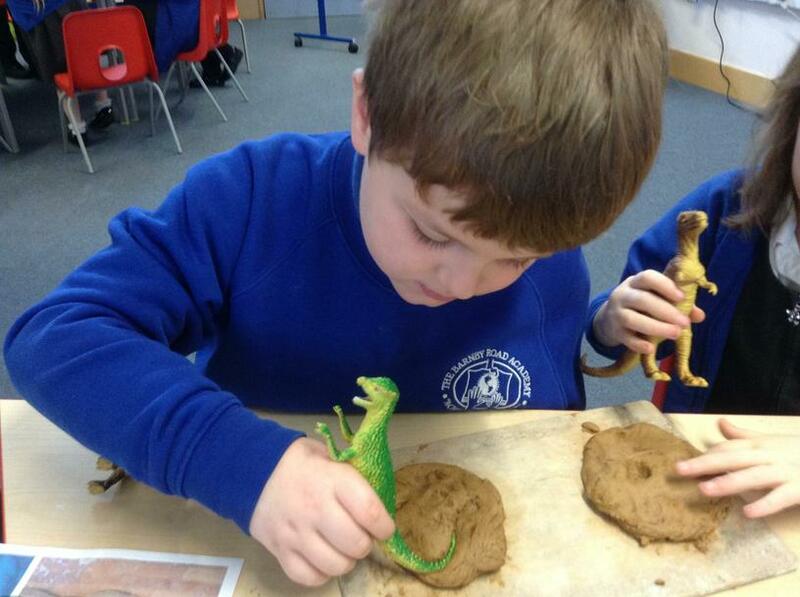 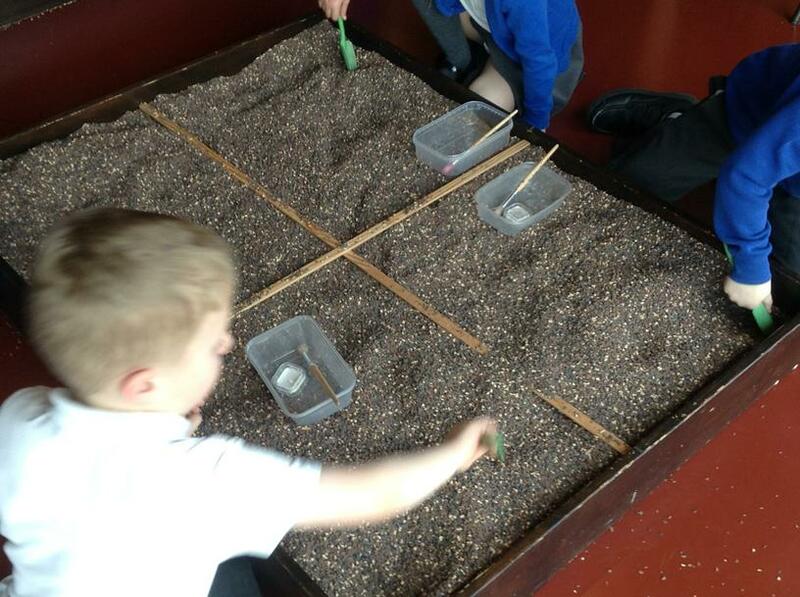 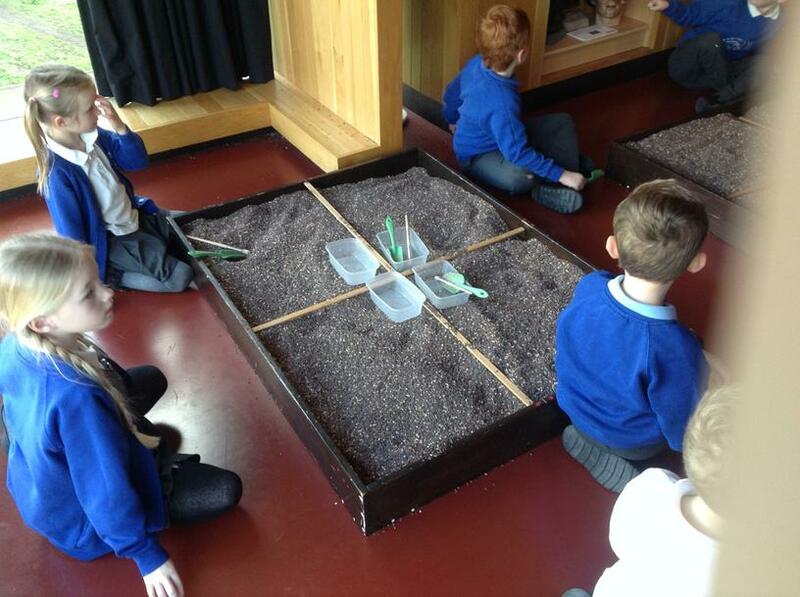 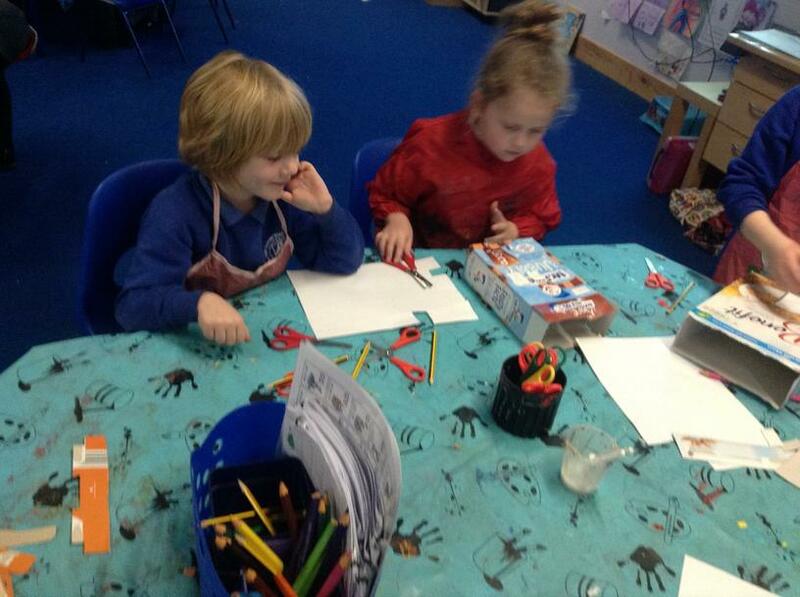 The Tigers particularly enjoyed becoming palaeontologists, excavating fossils and identifying dinosaurs. 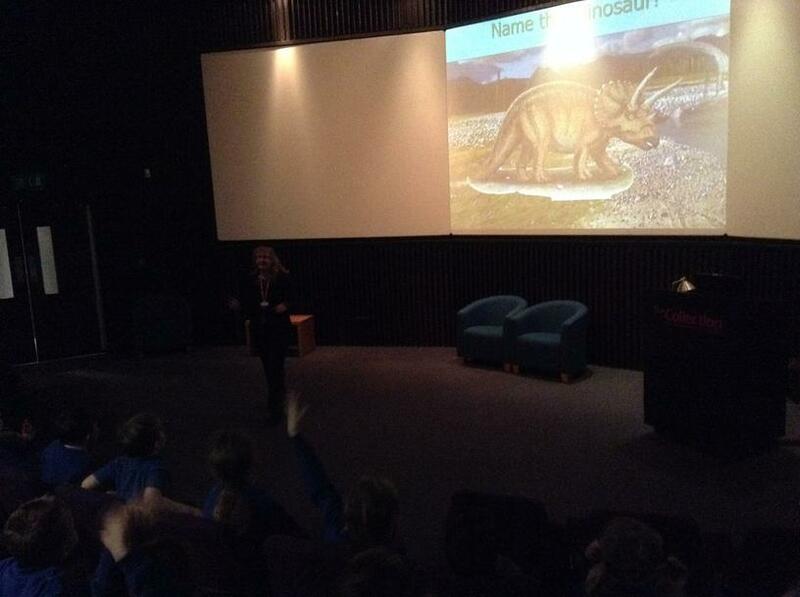 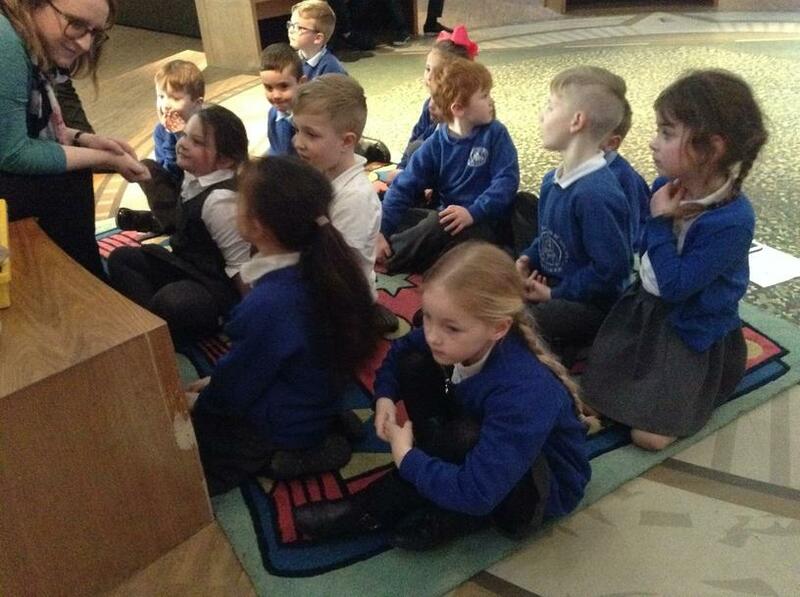 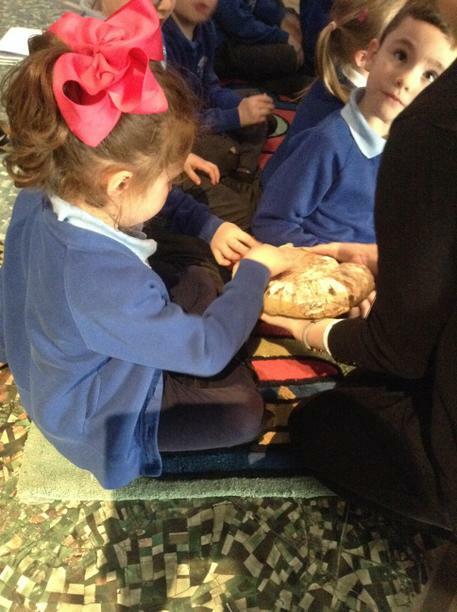 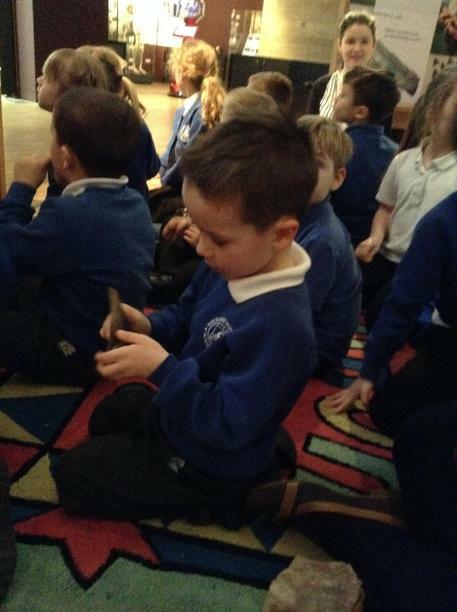 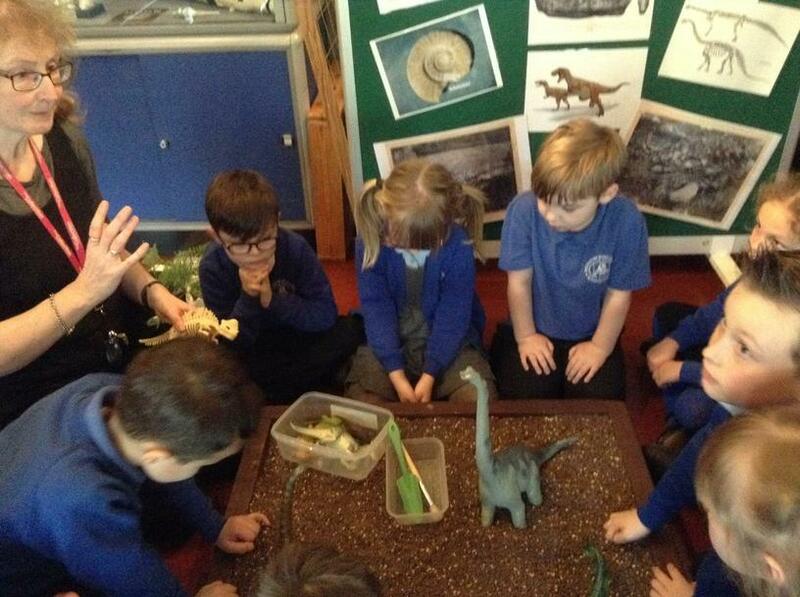 The children were very well behaved and we were amazed at their dinosaur knowledge! 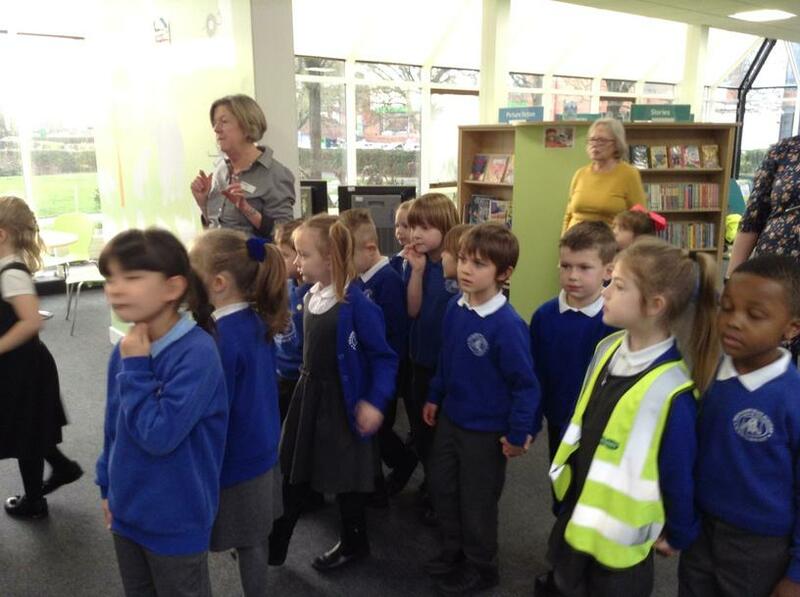 The Tigers' enjoyed another visit to the library as part of their World Book Day celebration. 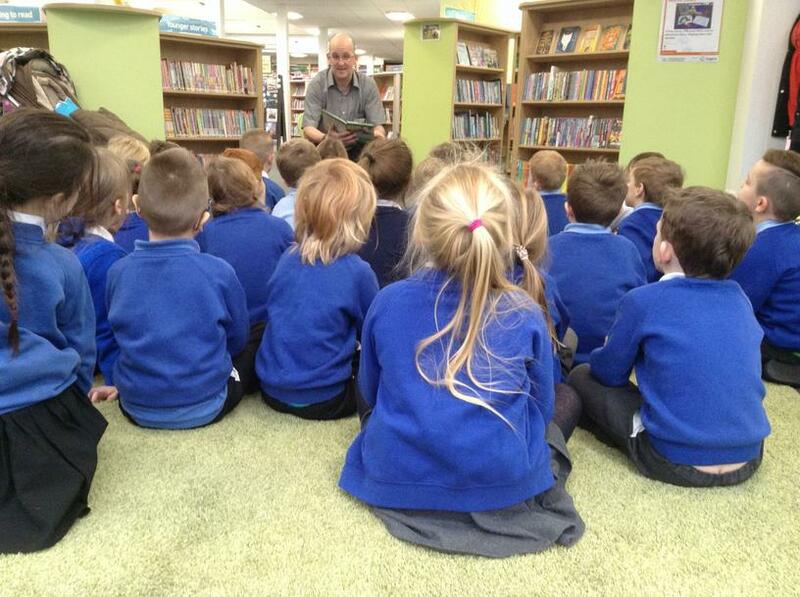 We enjoyed a story and some poems read by Dean, went on a book character hunt and shared stories in small groups. 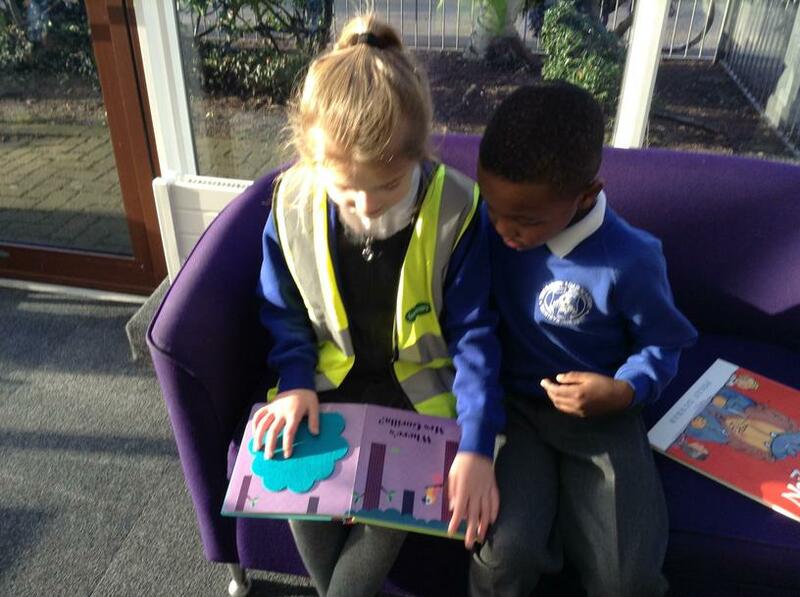 We also chose some new books to borrow and share in our classroom over the next few weeks. 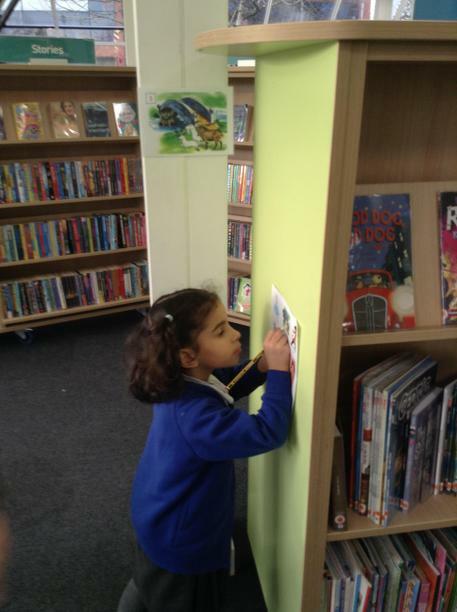 Some children took home a form to join the library too - look out for it in their bags! 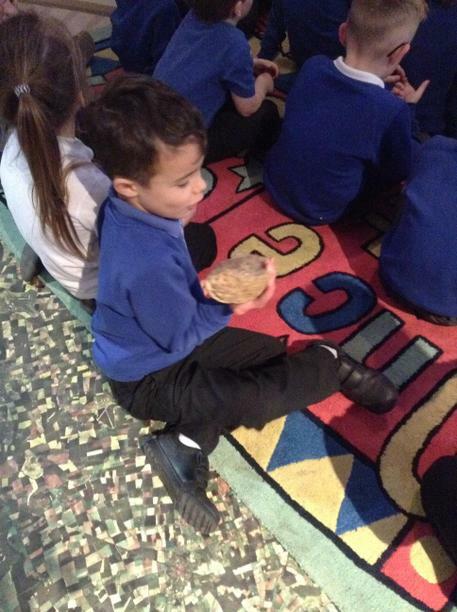 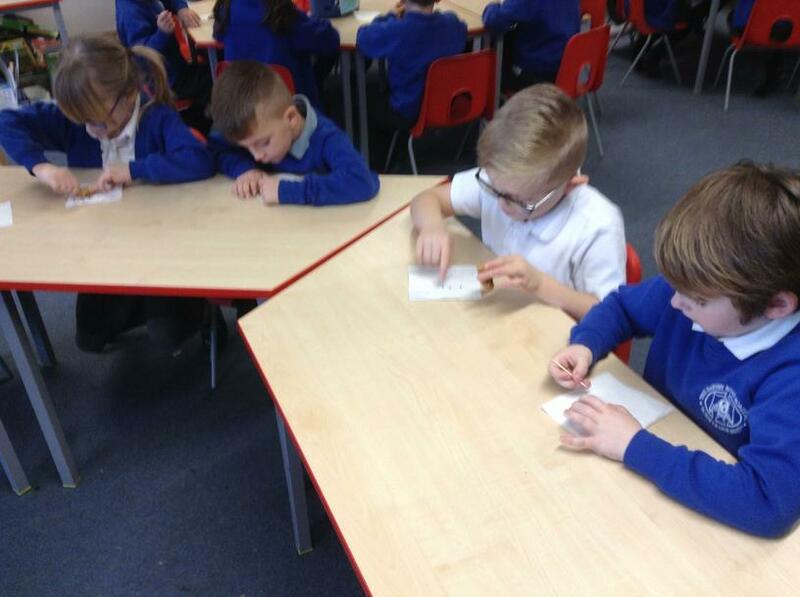 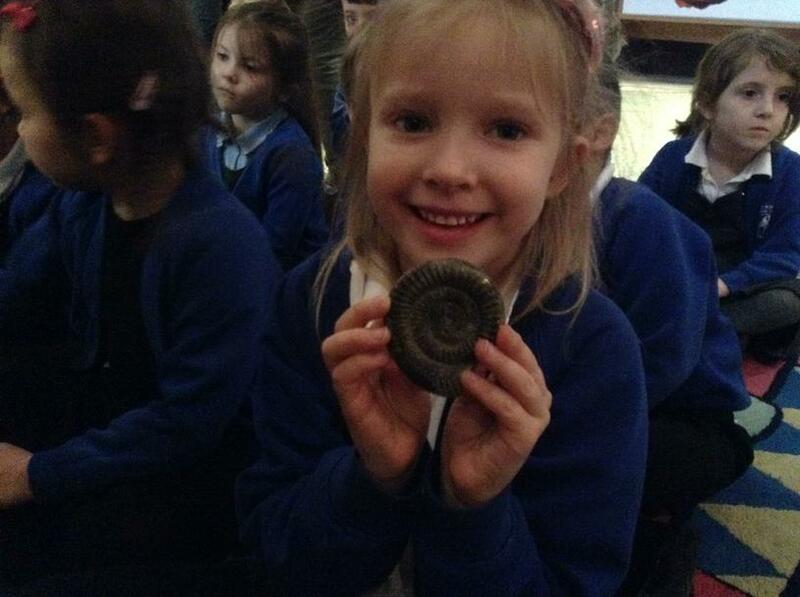 In the Tigers' class we have been learning about fossils. 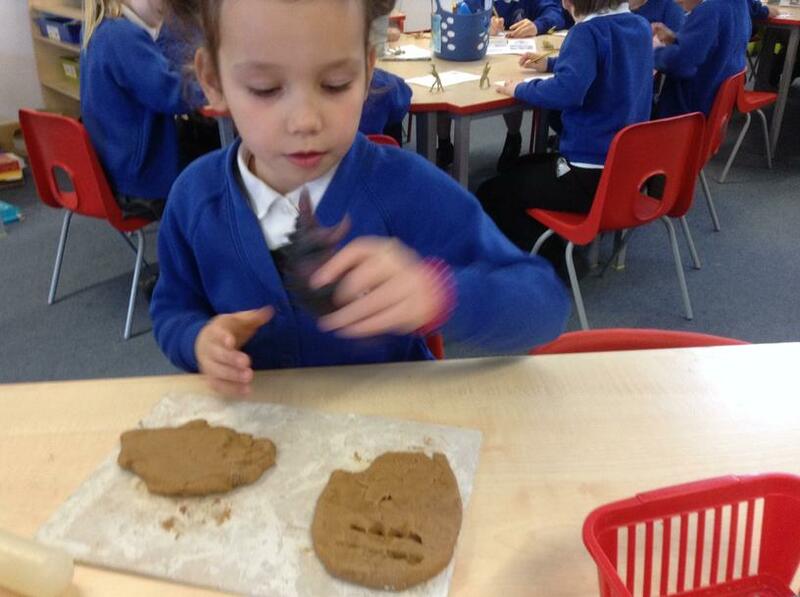 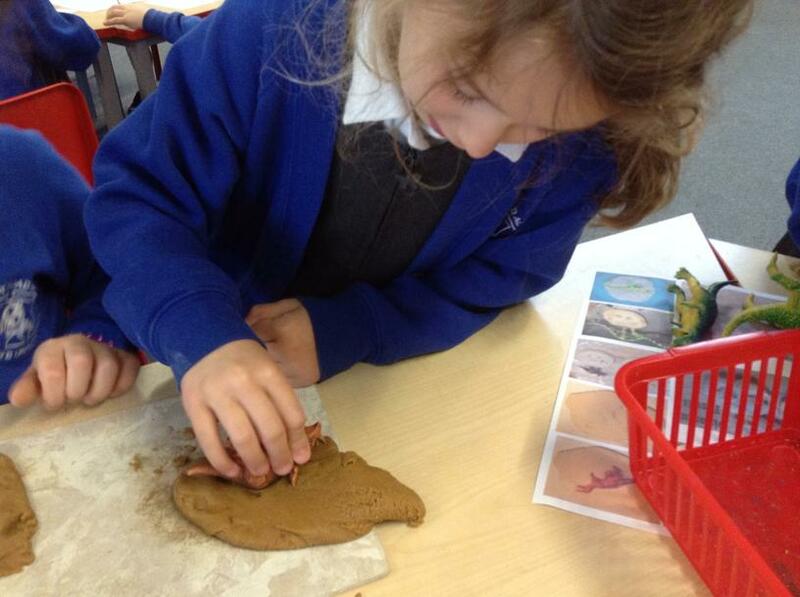 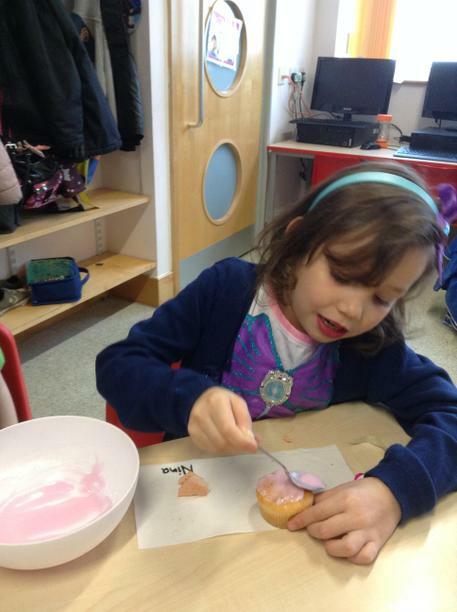 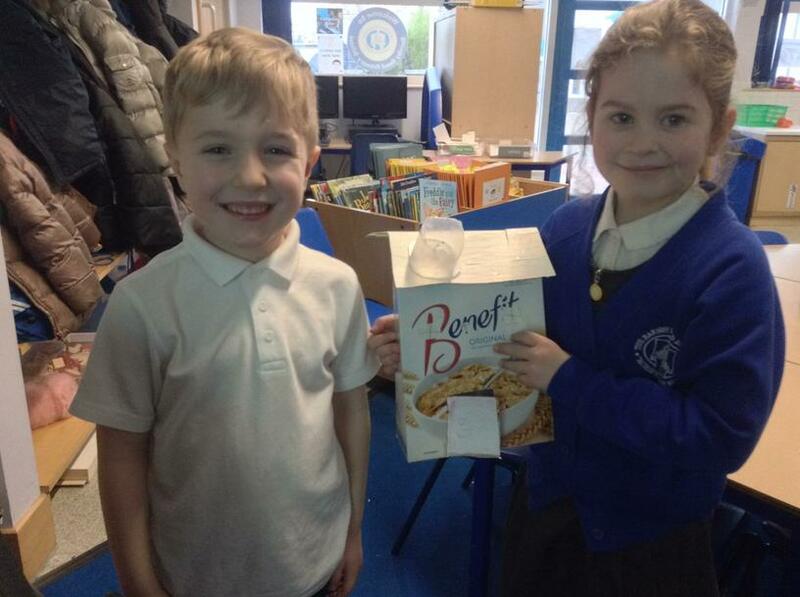 We made our own fossils by carefully pressing different parts of dinosaurs into dough. 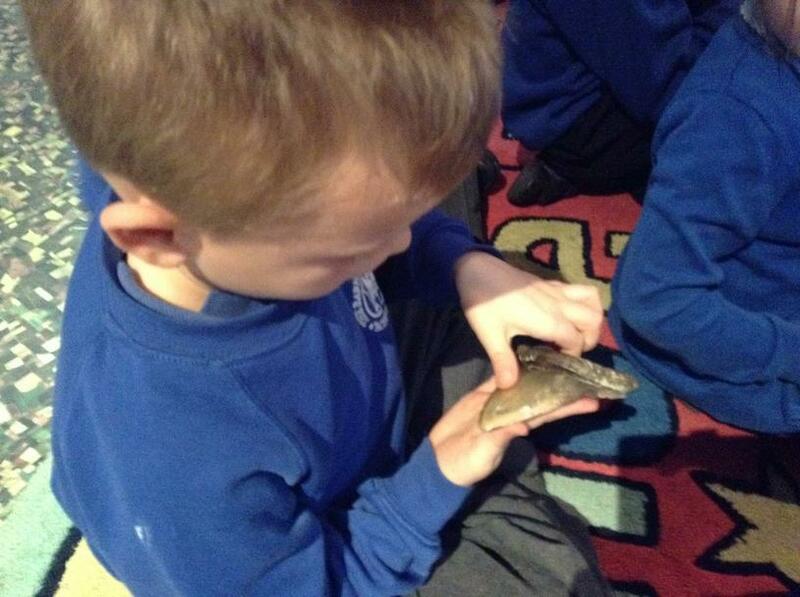 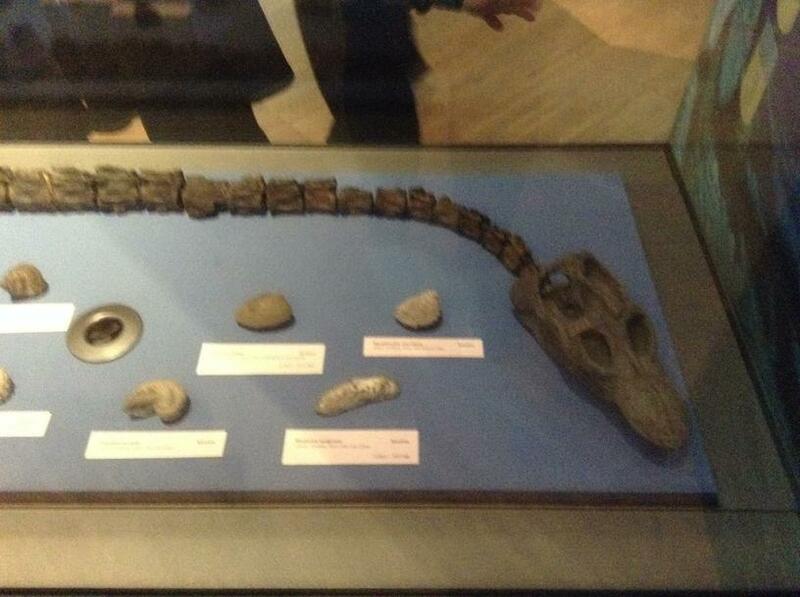 We also learnt about Mary Anning, a famous fossil hunter. 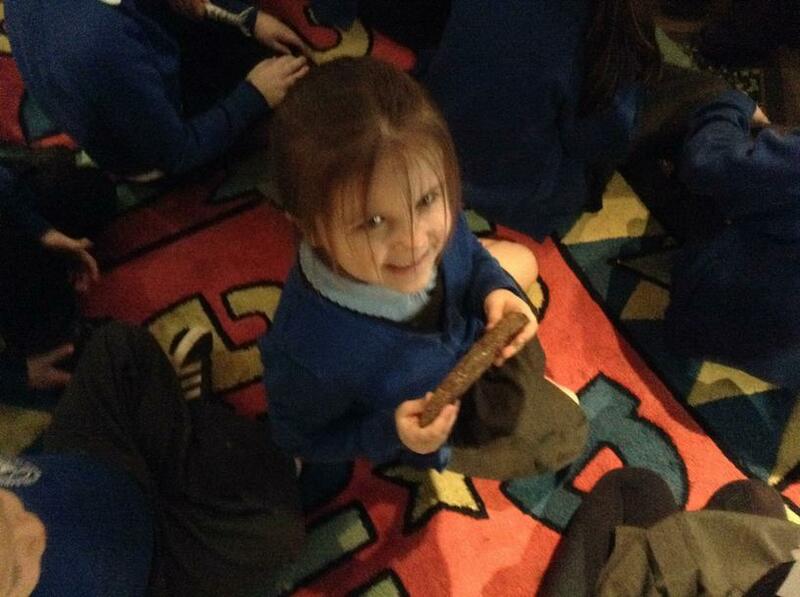 We pretended to be palaeontologists and tried to excavate chocolate chips from cookies. 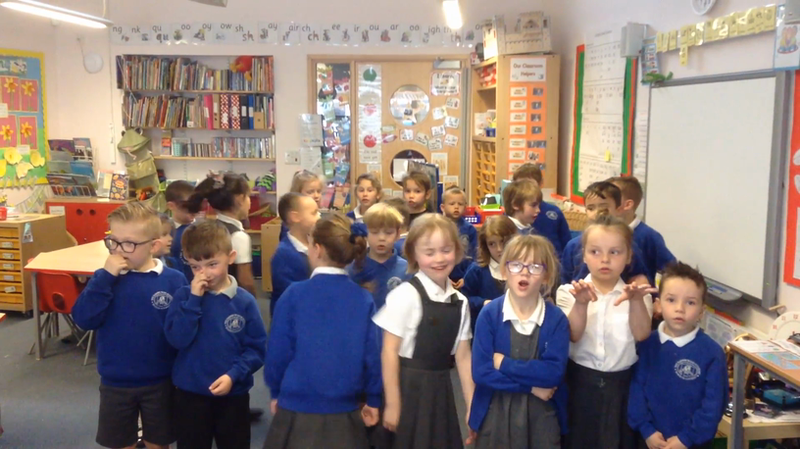 According to the children, it was 'the best day ever'! 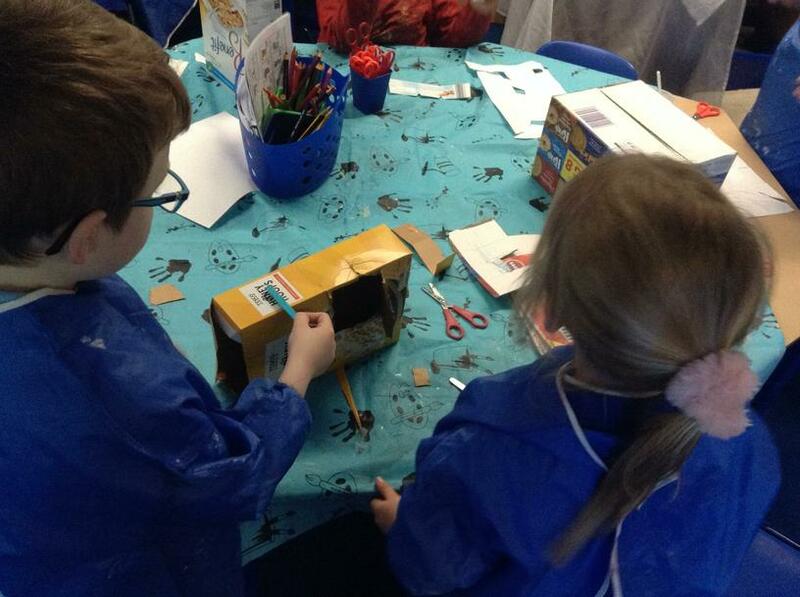 Meerkat Class did a great job at designing and making a house for a little pig from one of our favourite Traditional Tales 'The Three Little Pigs'. 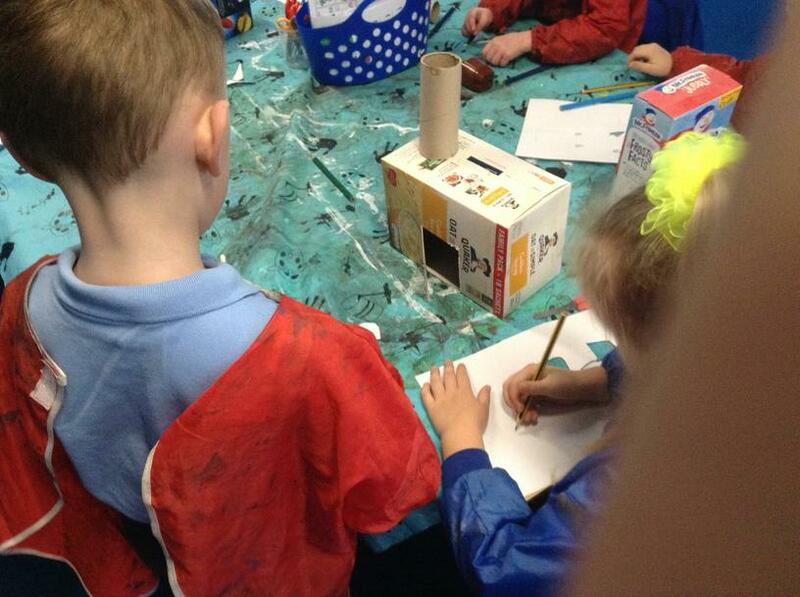 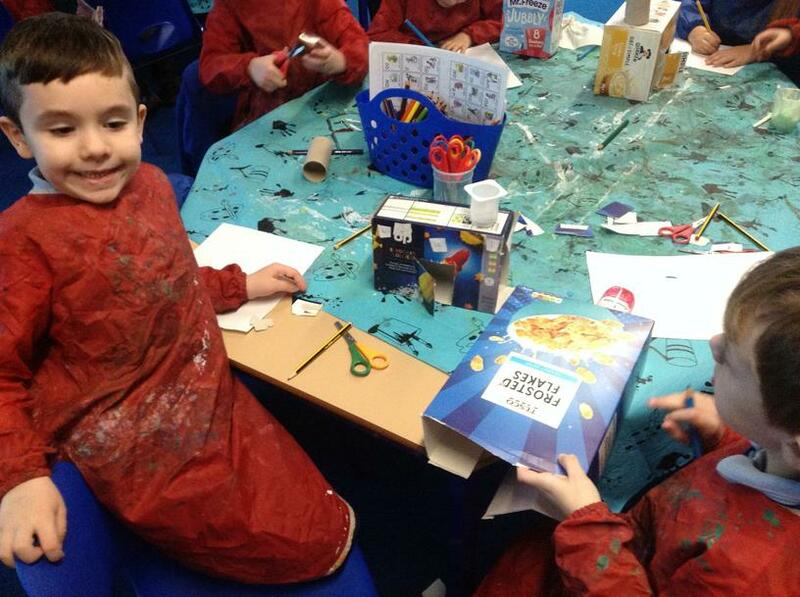 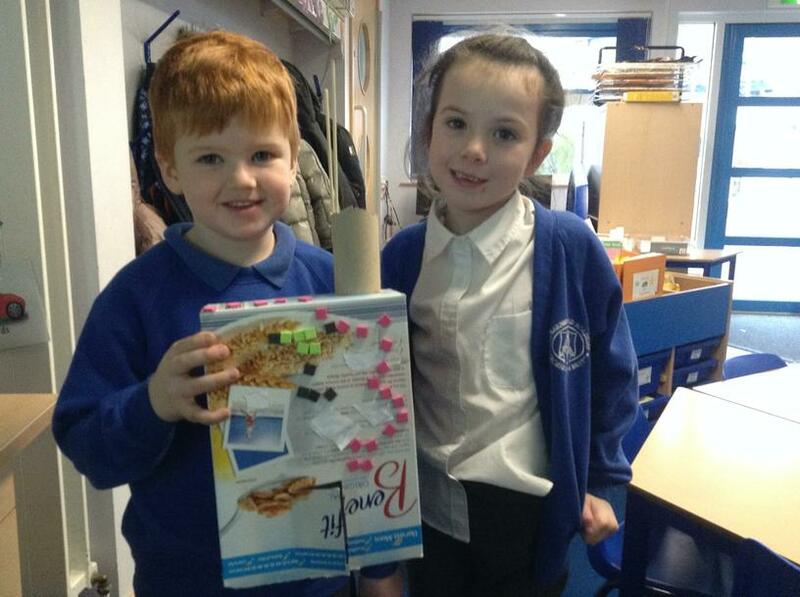 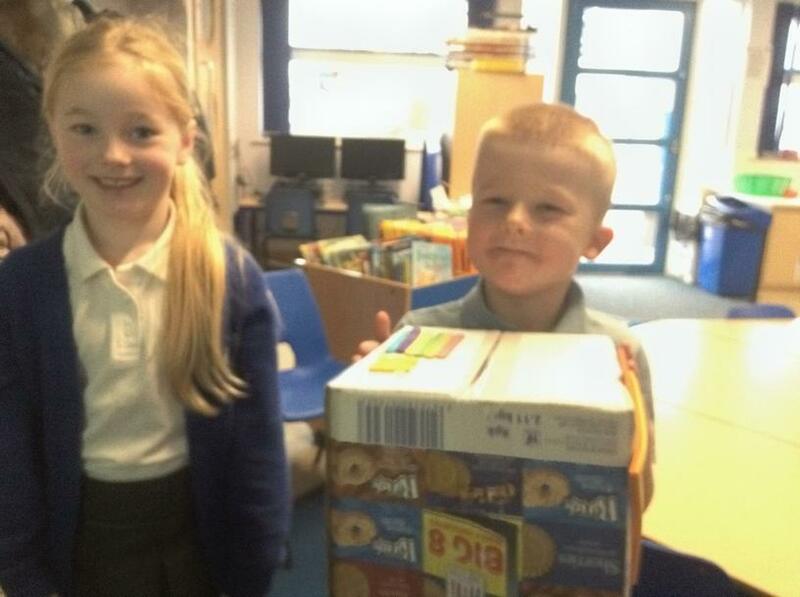 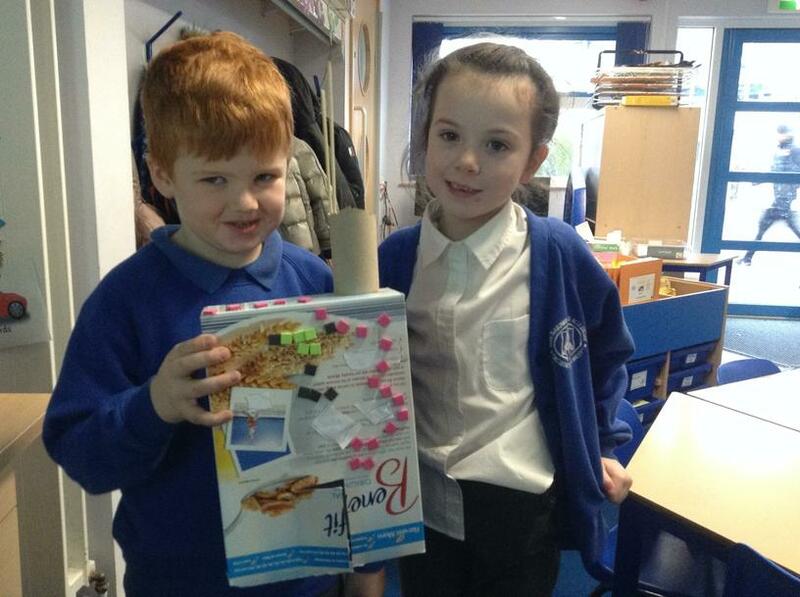 The children made their house so a pig could fit inside comfortably and not be blown down by the Big Bad Wolf! 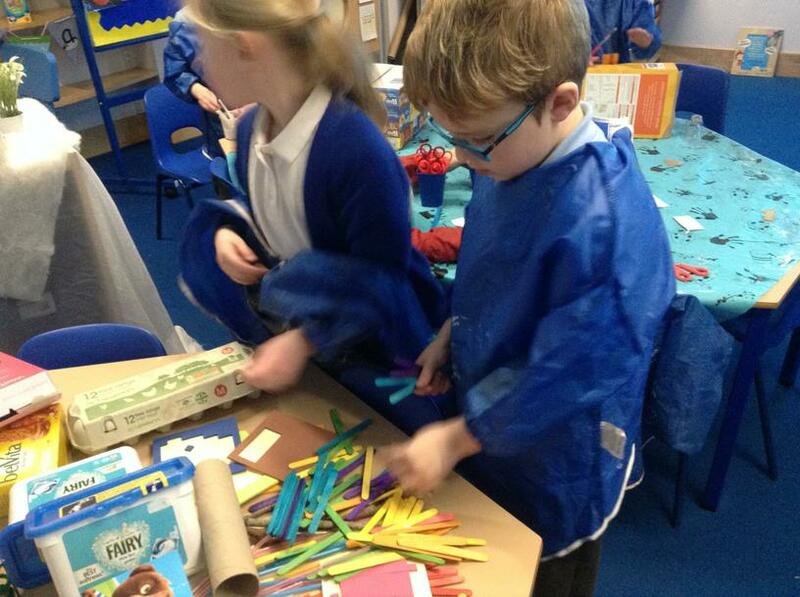 Thank you to the families who brought in so many great resources, the children had a fantastic afternoon. 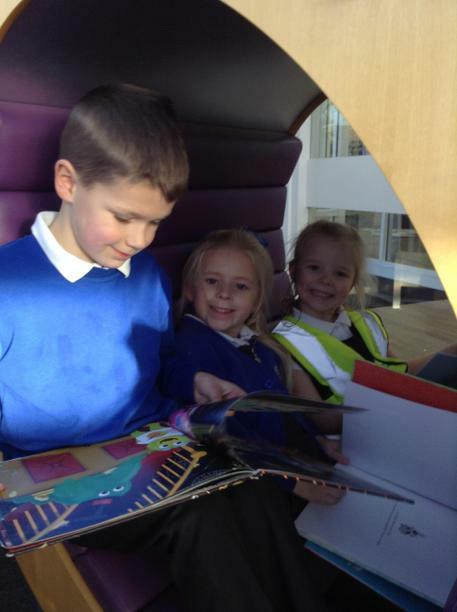 The Tigers had a great trip to the Library yesterday. 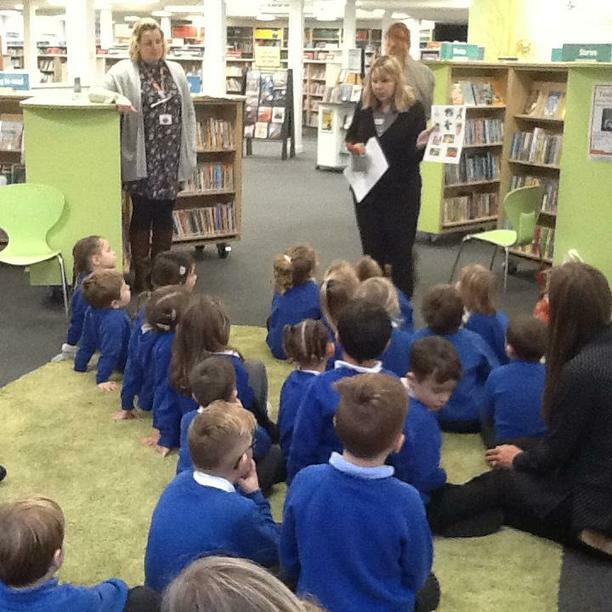 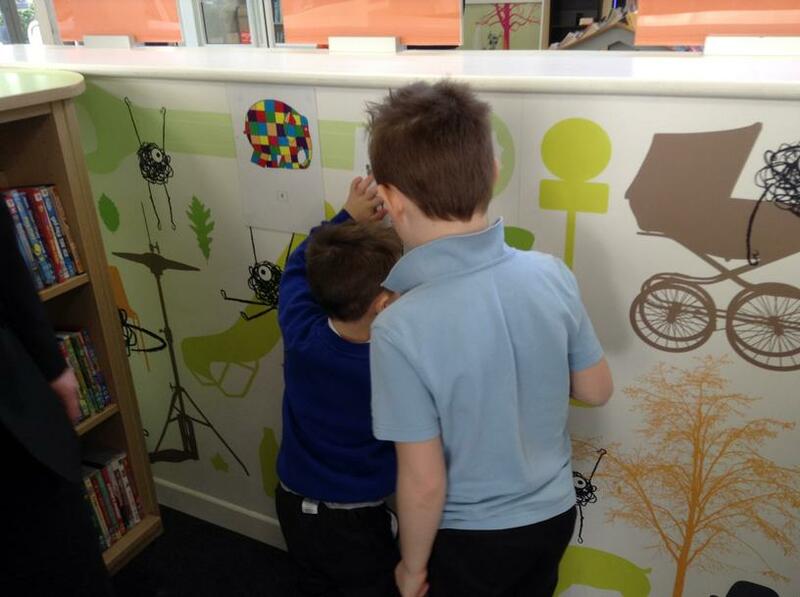 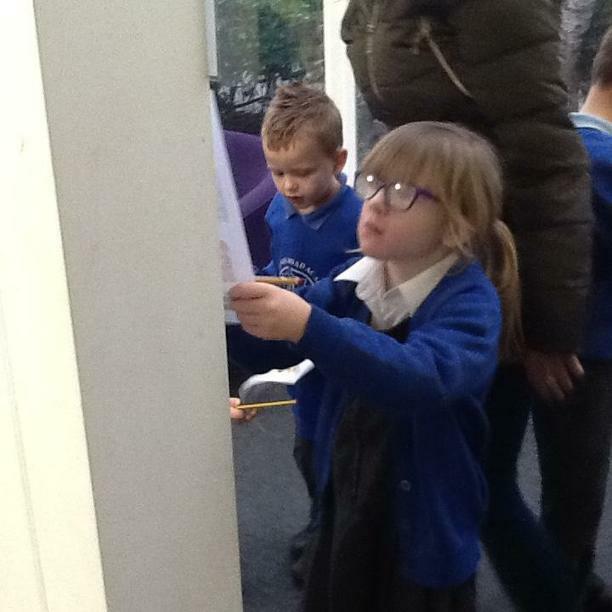 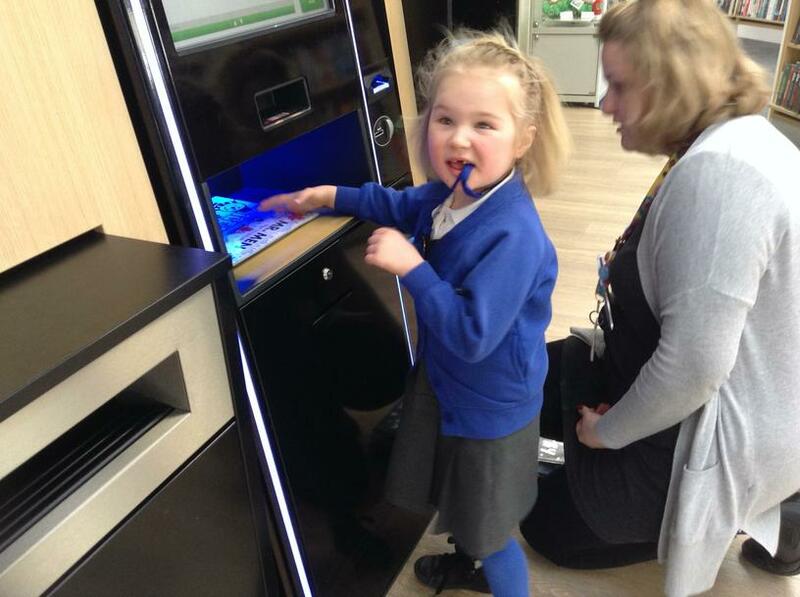 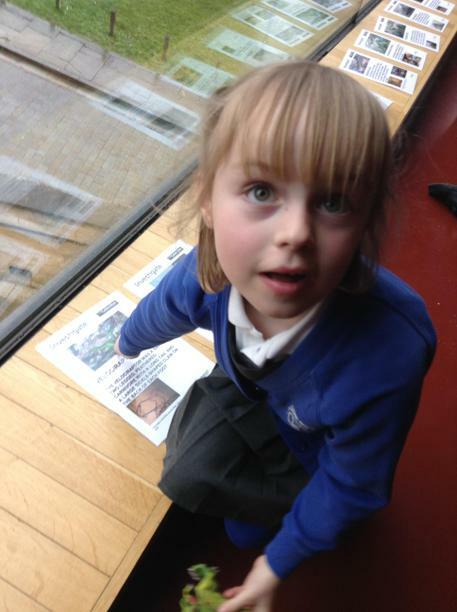 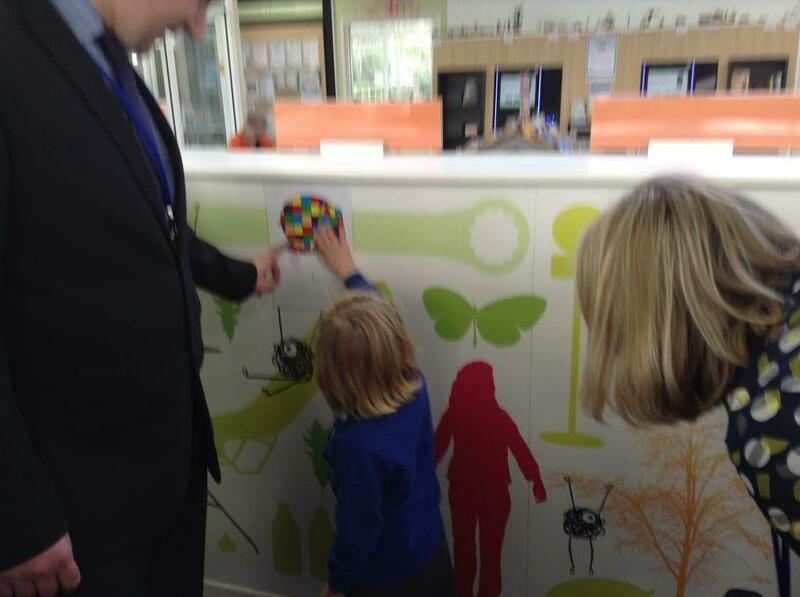 The children listened to some traditional tales, had a tour of the library and followed a fairy tale treasure hunt. 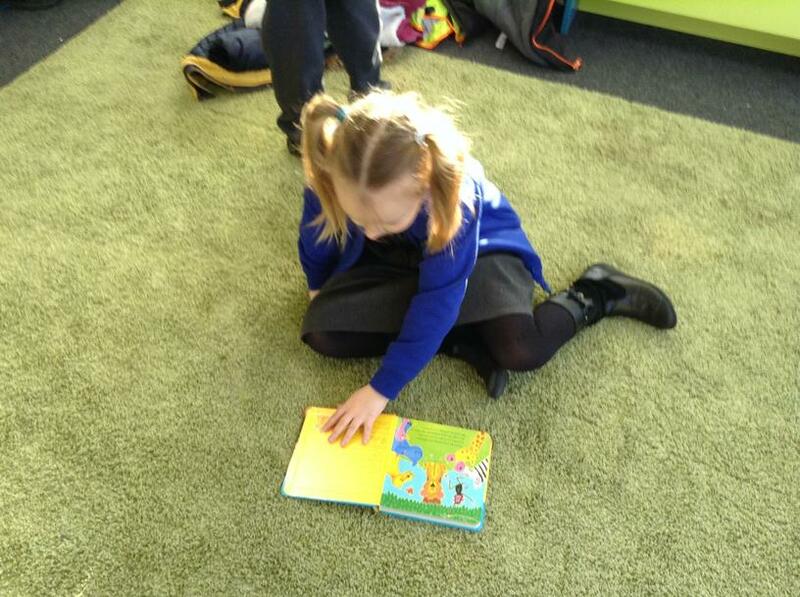 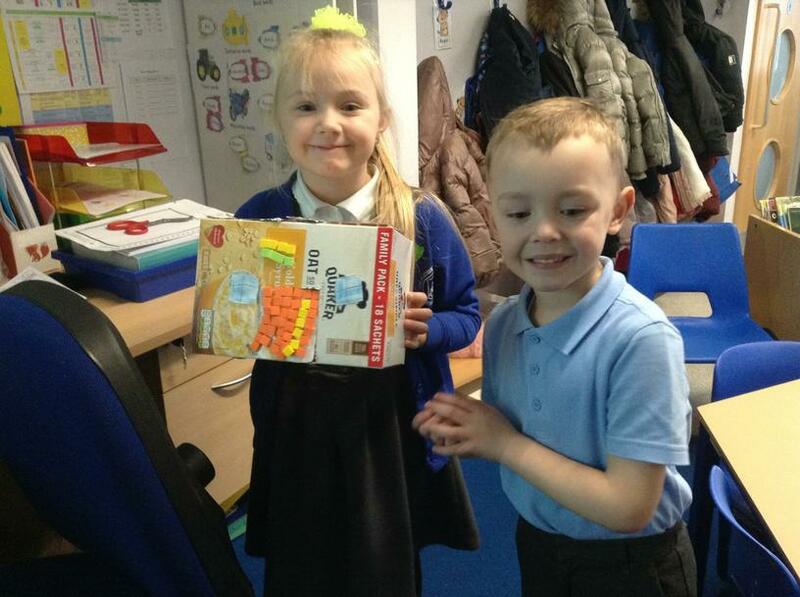 They also chose some books to borrow for our class story times. 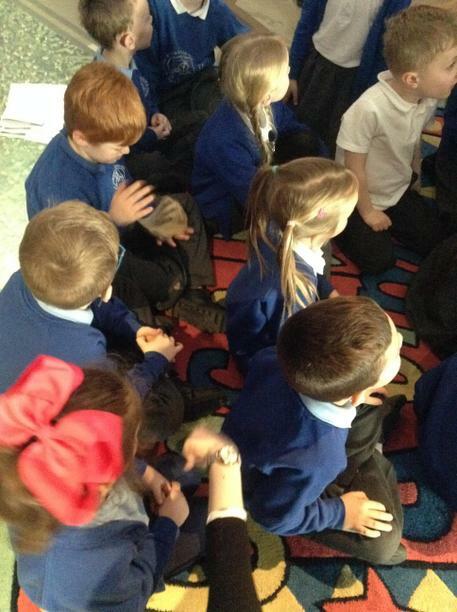 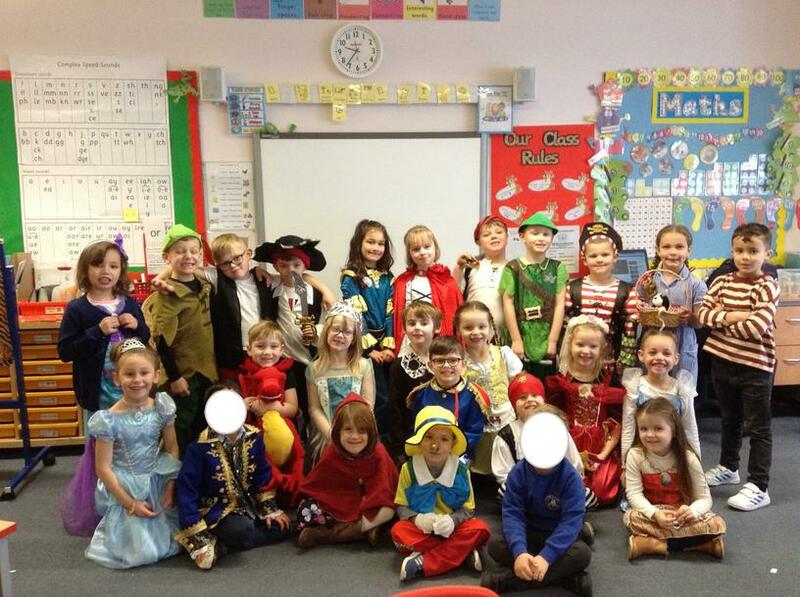 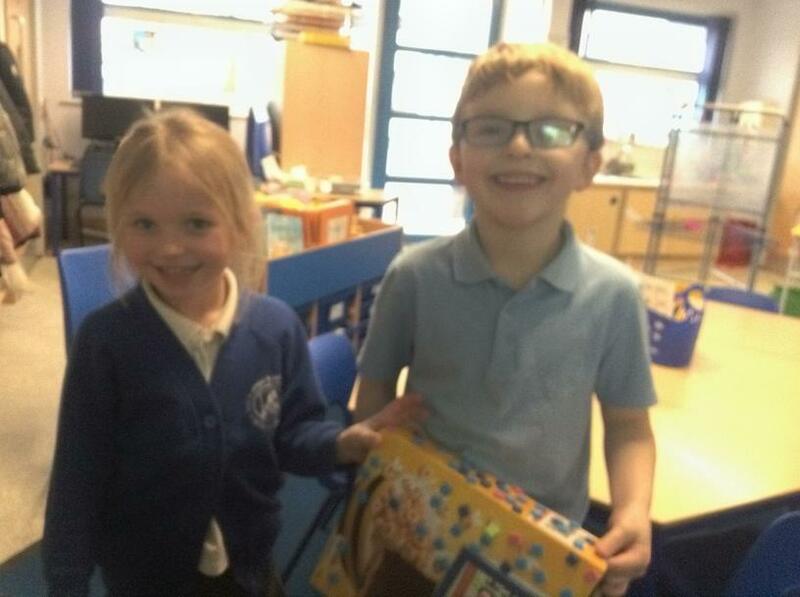 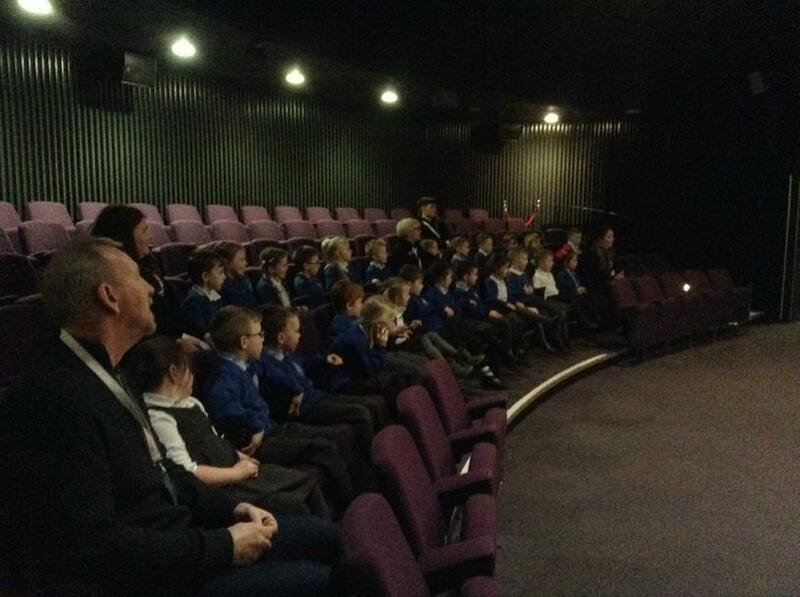 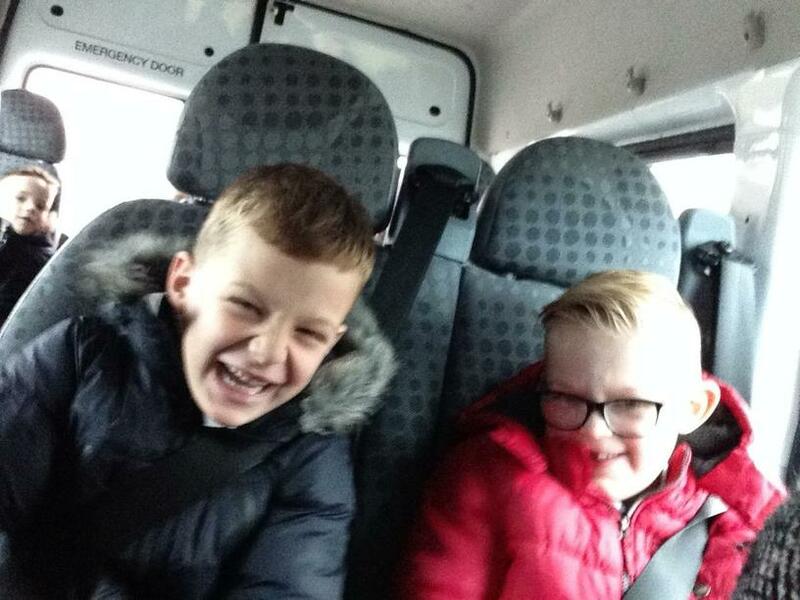 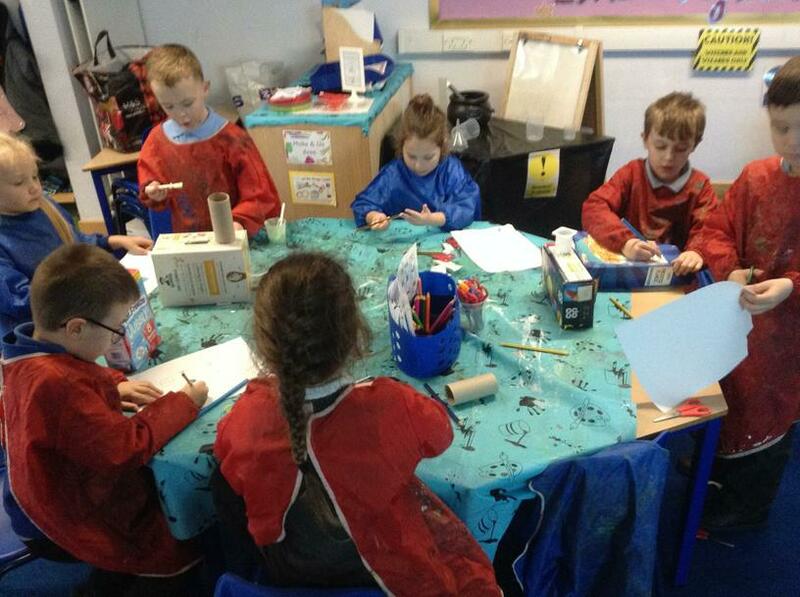 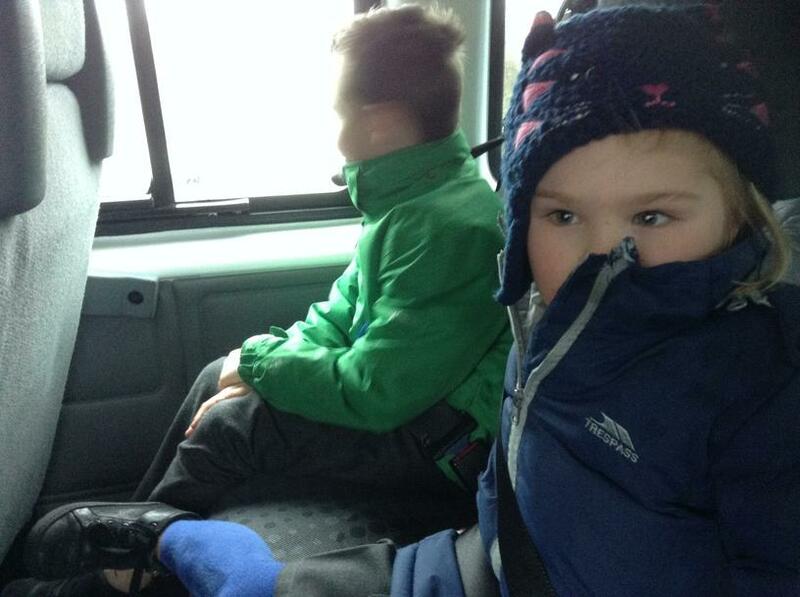 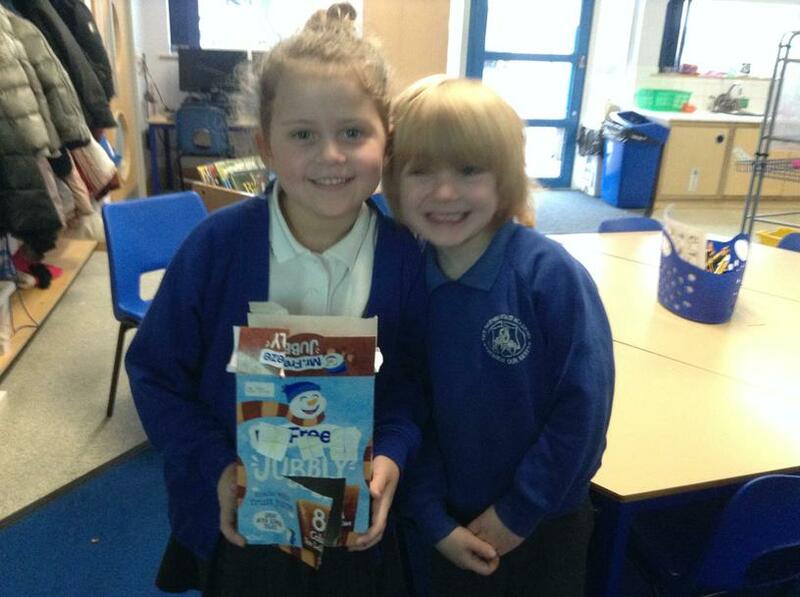 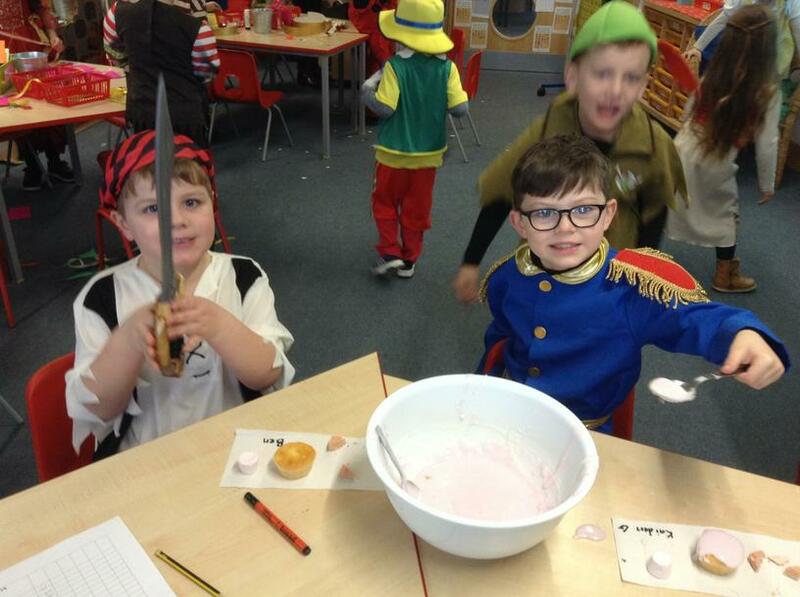 The class were very well behaved and would love to visit again soon! 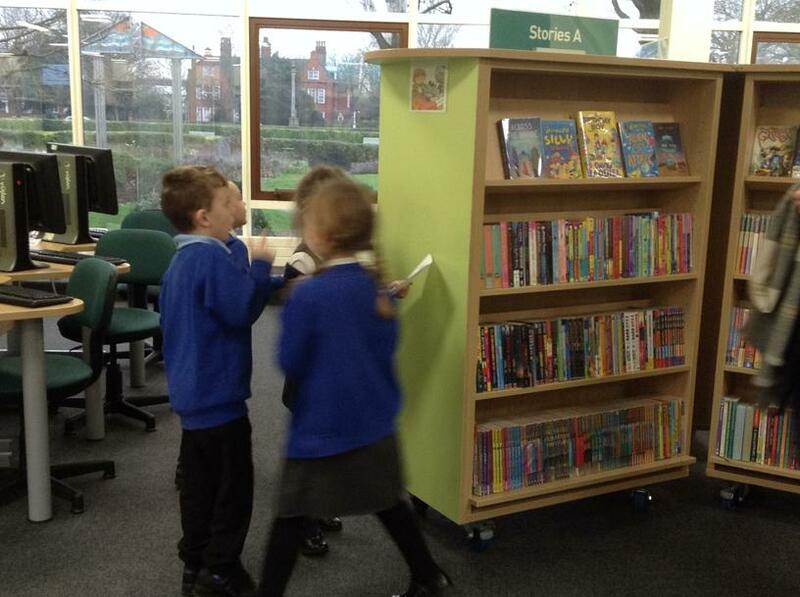 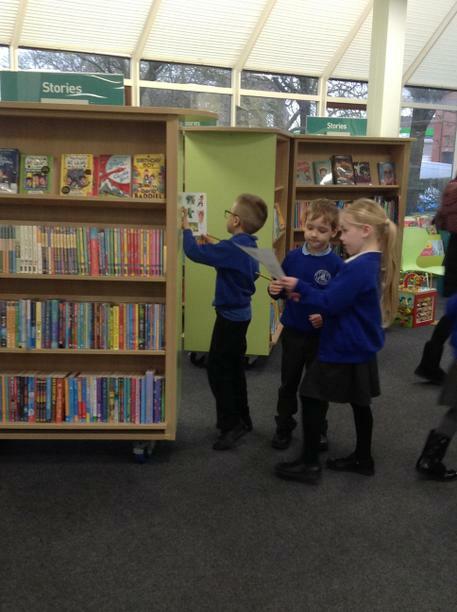 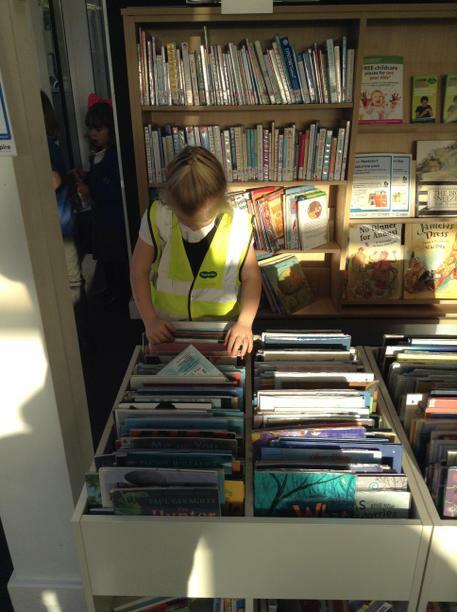 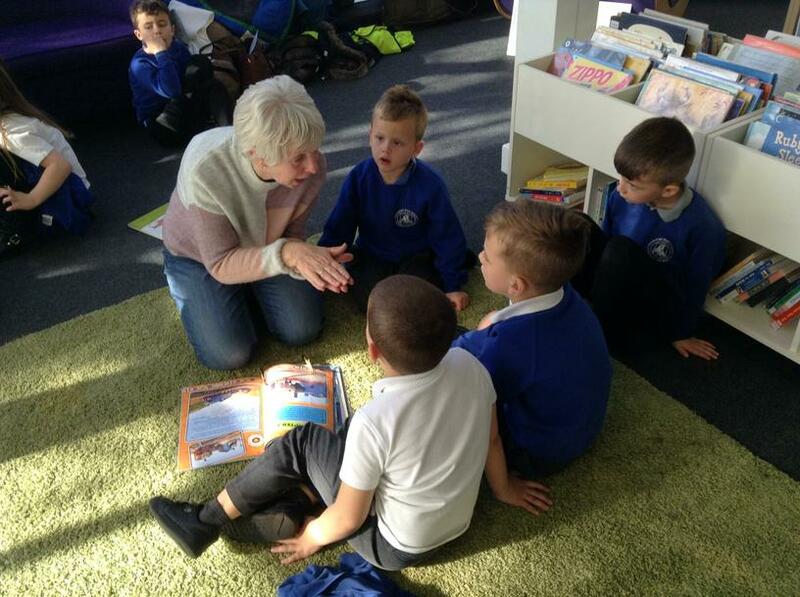 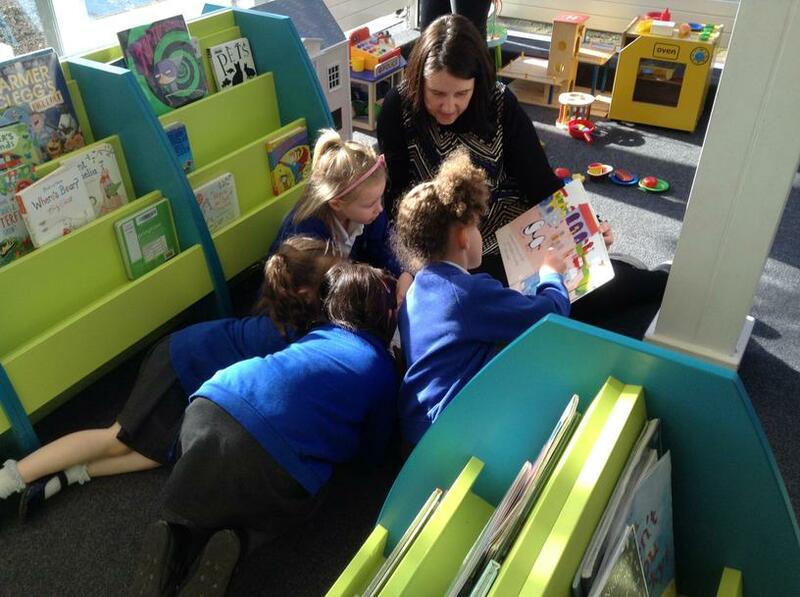 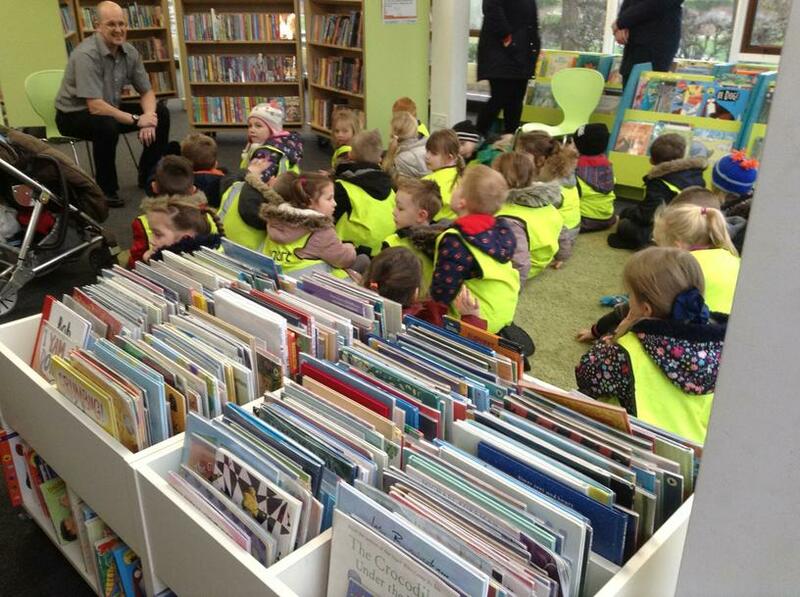 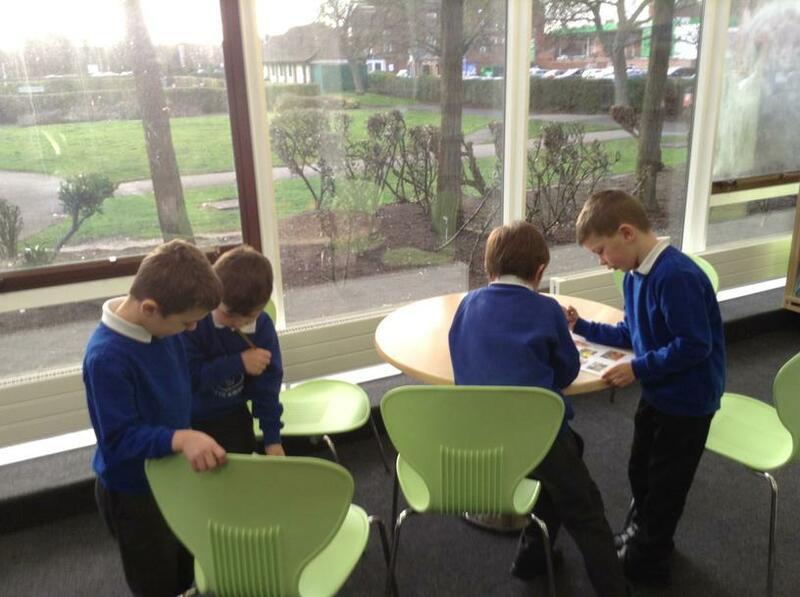 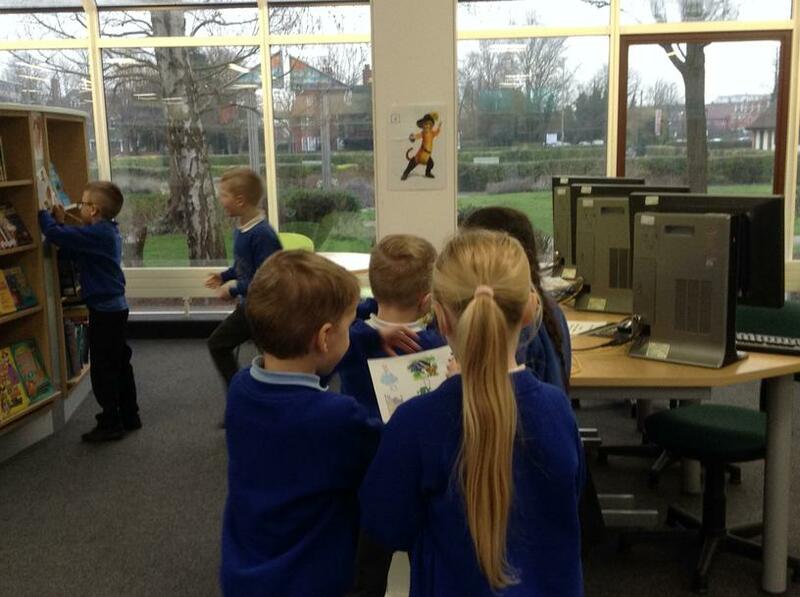 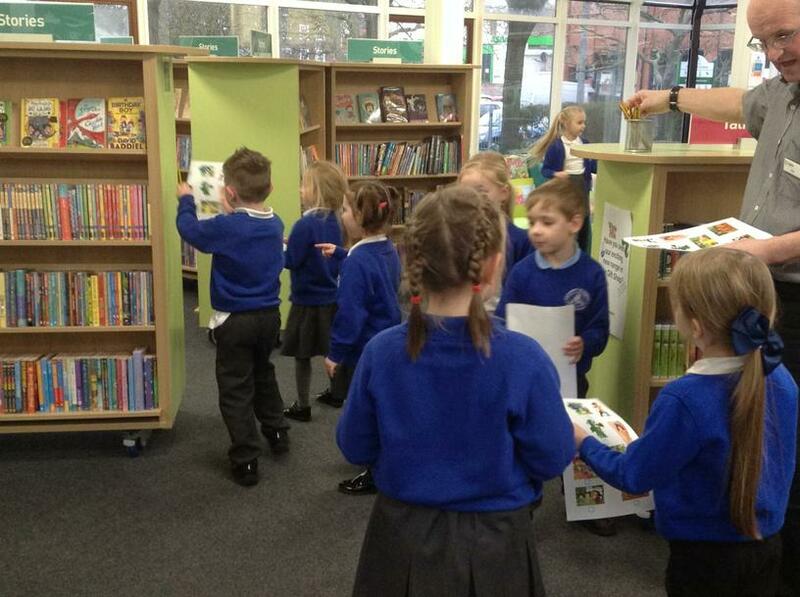 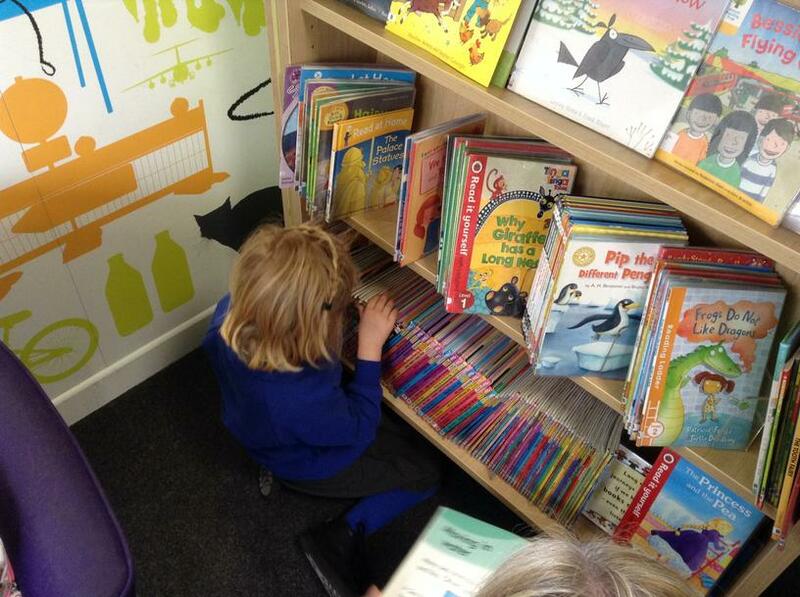 Lions have enjoyed visiting Newark Library and looking at their books. 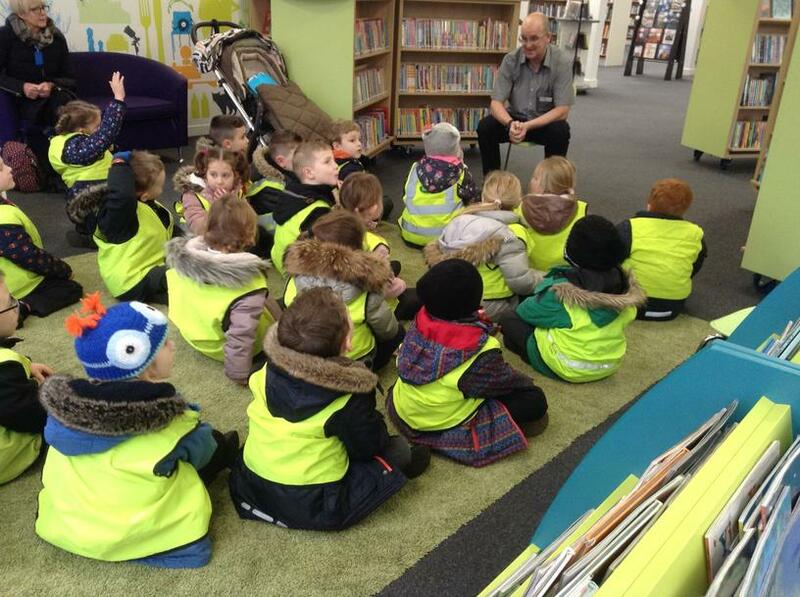 We had a fairy tale story time and a tour of the Library. 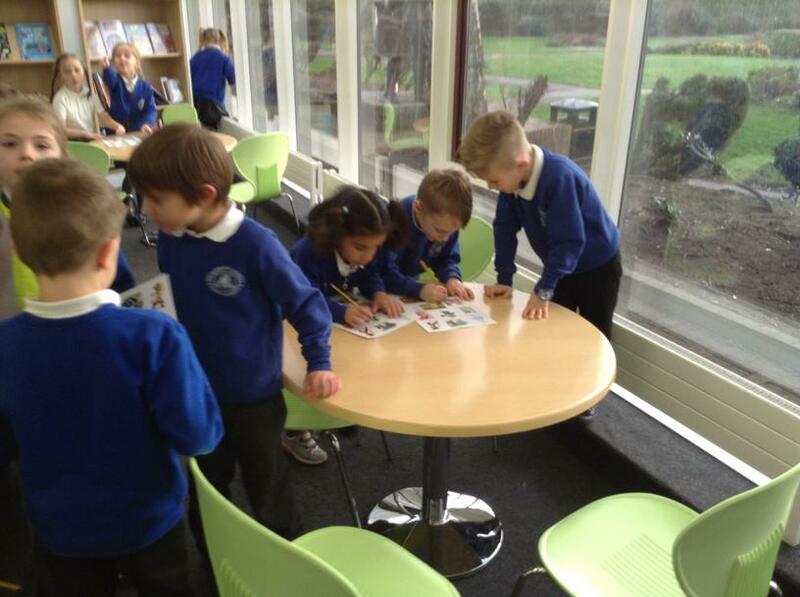 There were old pictures of children and classrooms which looked very different to ours. 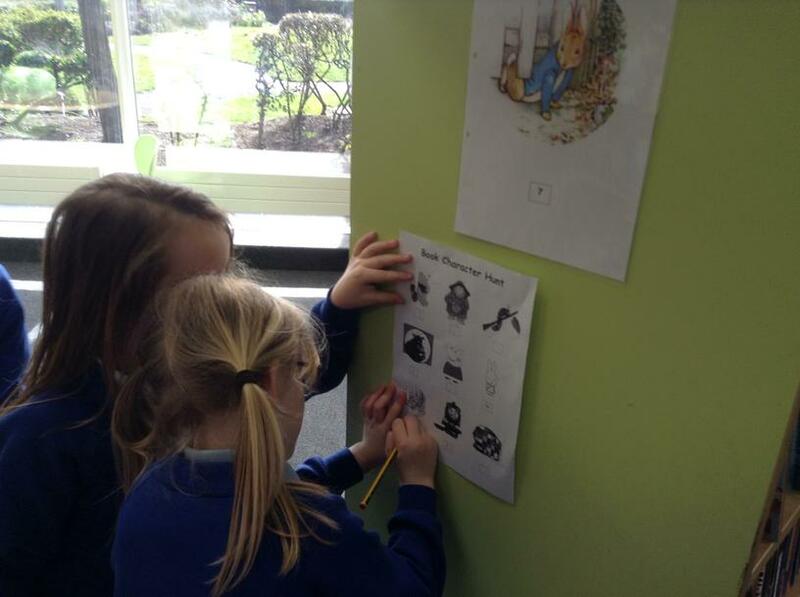 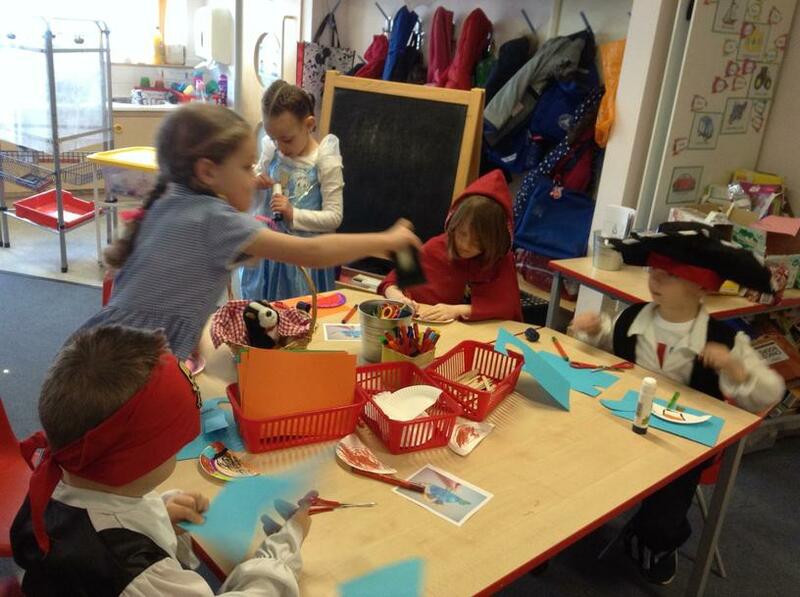 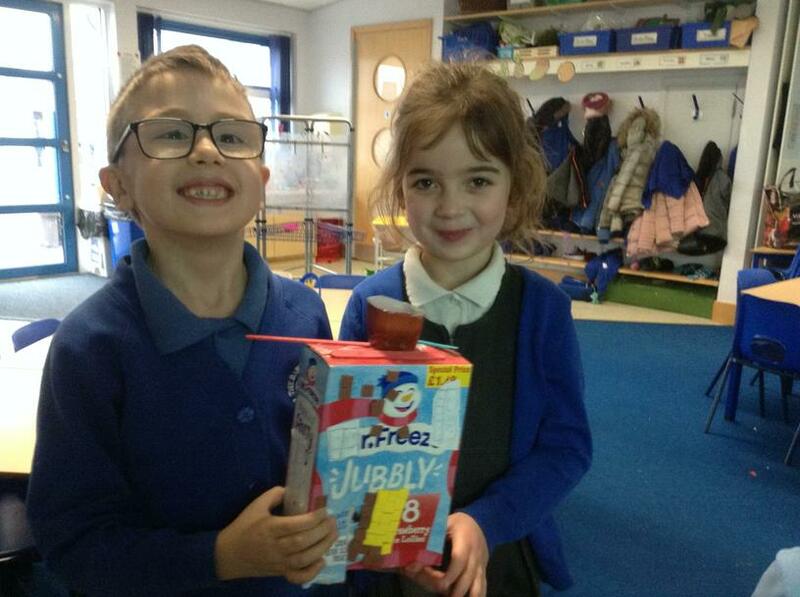 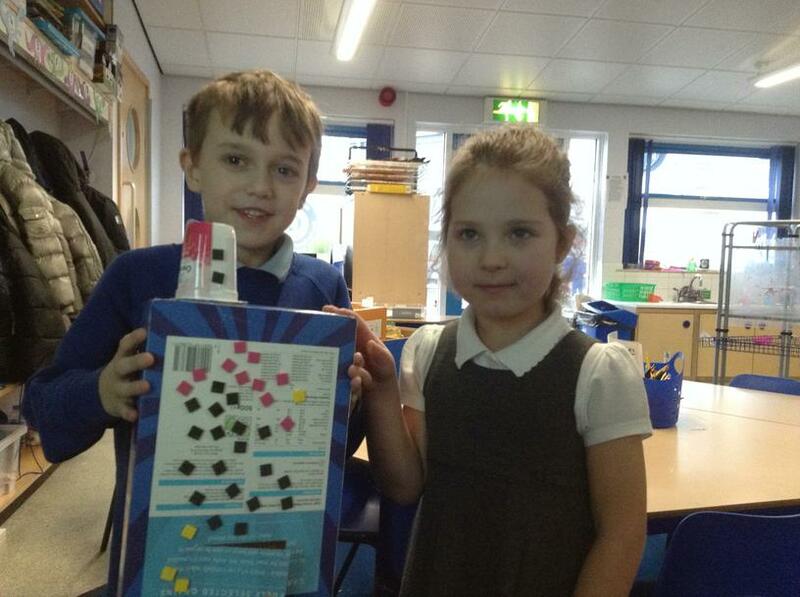 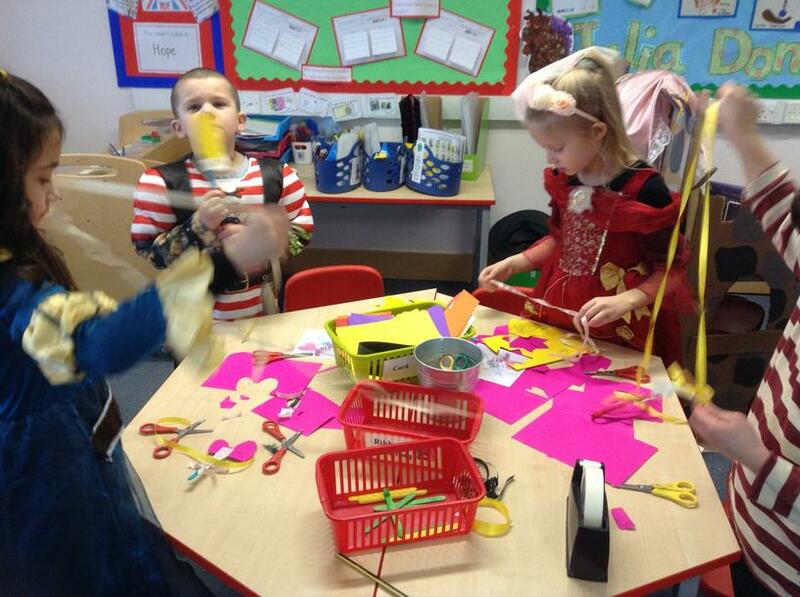 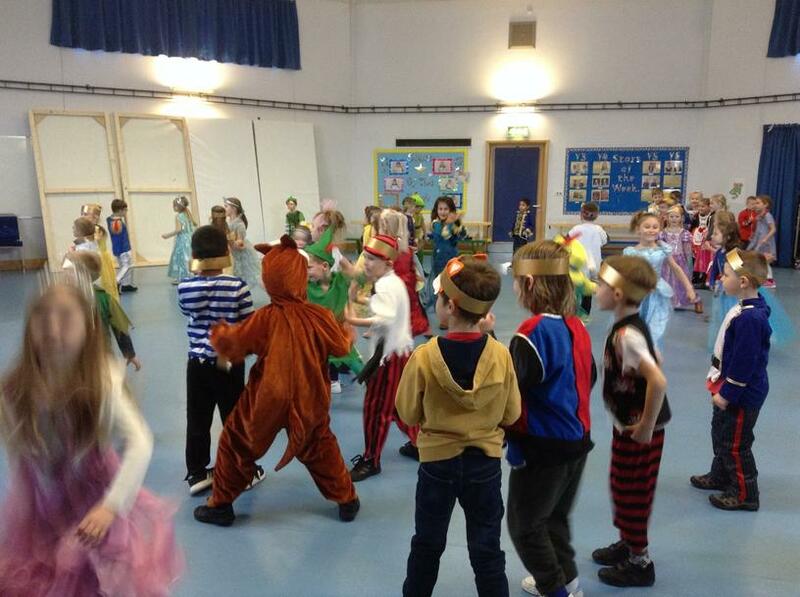 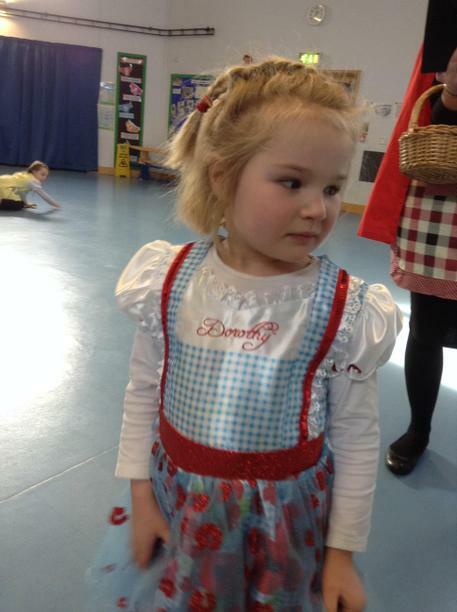 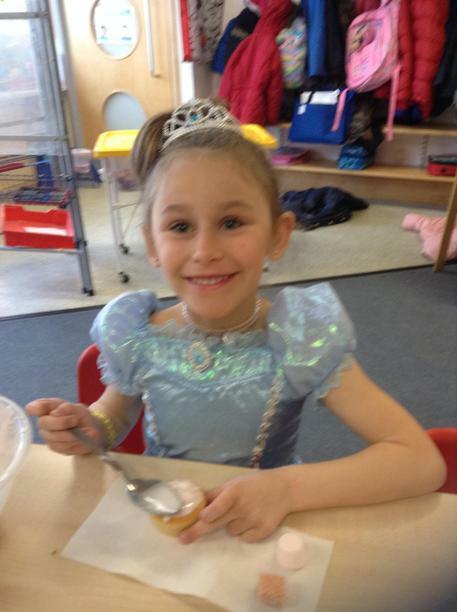 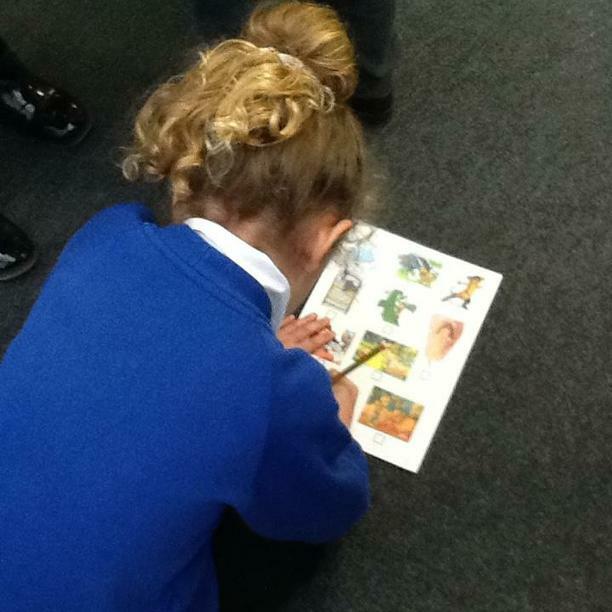 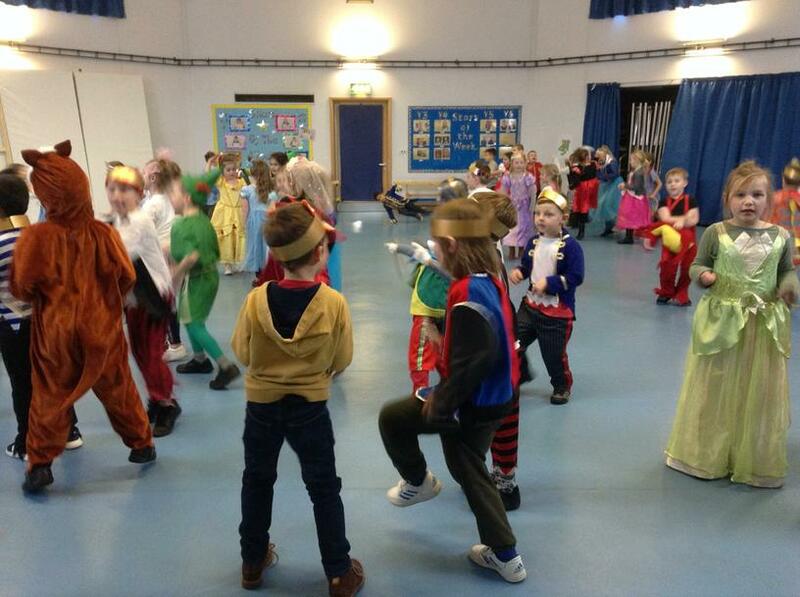 We also had a treasure hunt to find different fairy tale characters. 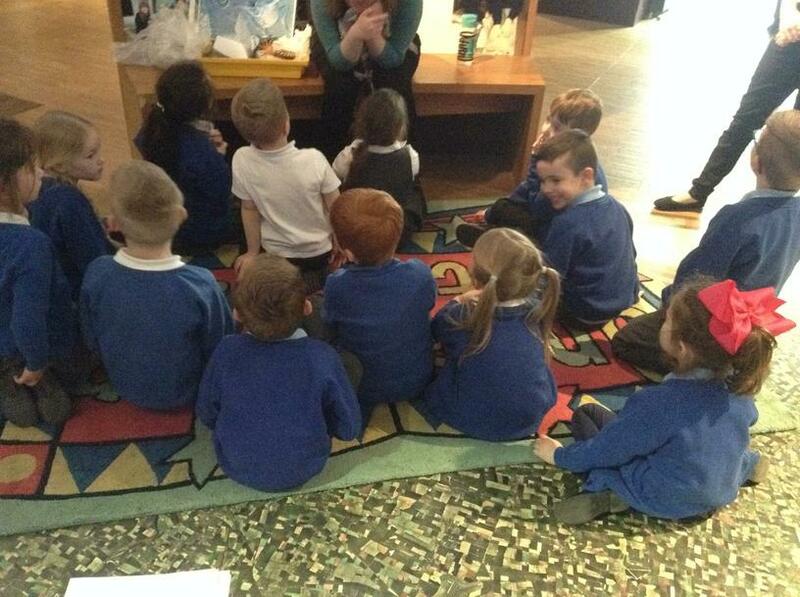 All the Lions had a lovely afternoon at the library. 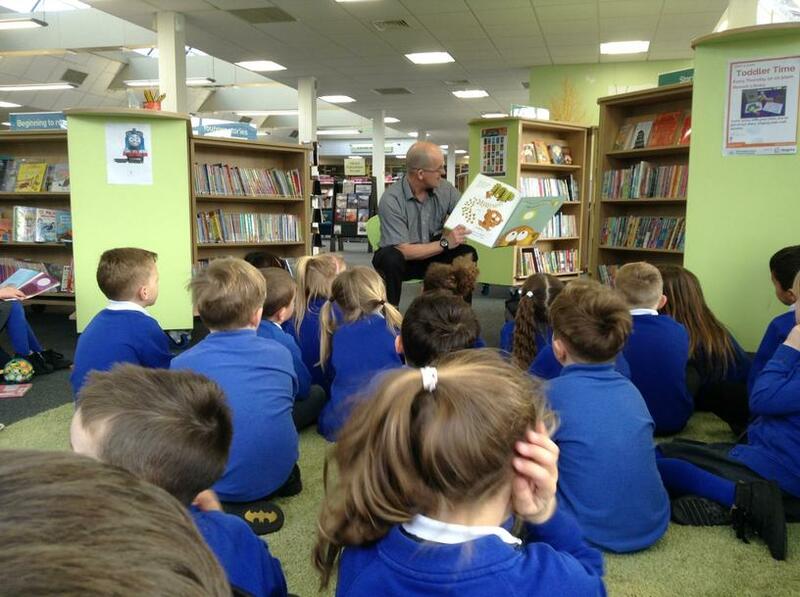 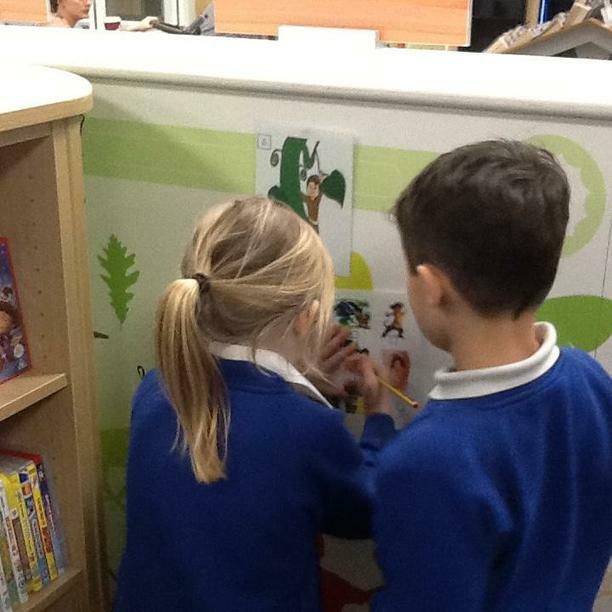 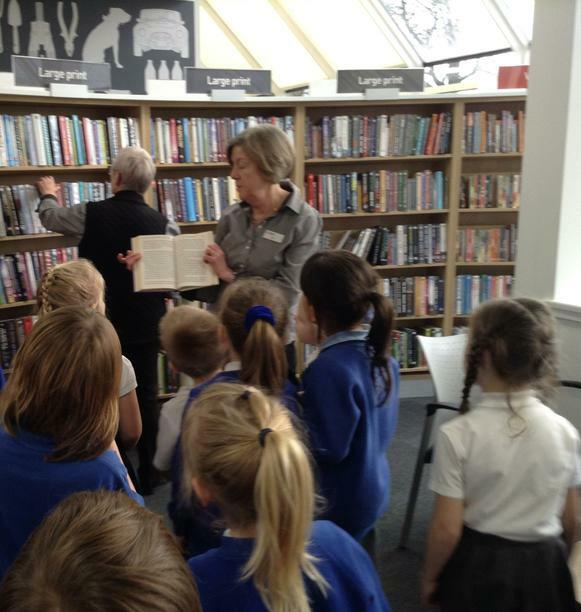 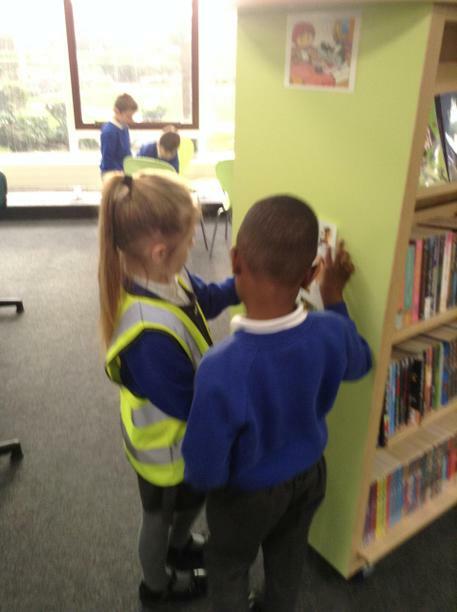 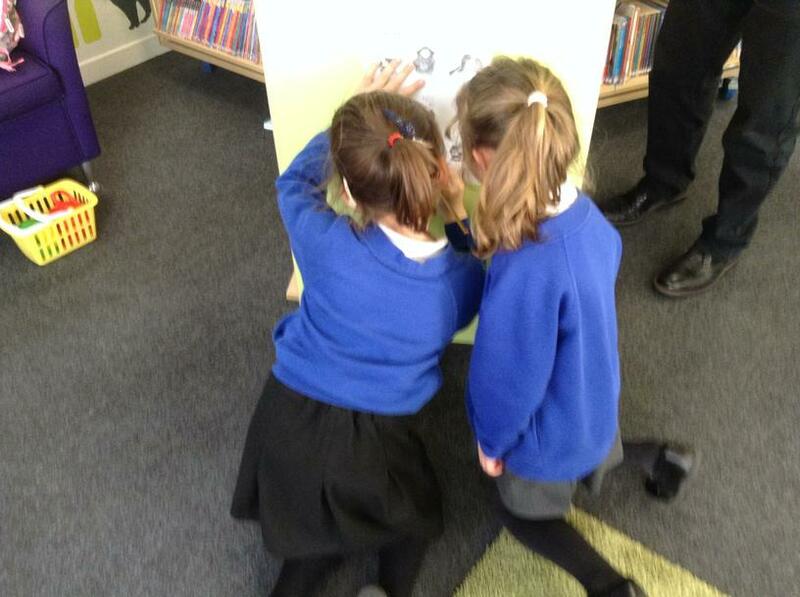 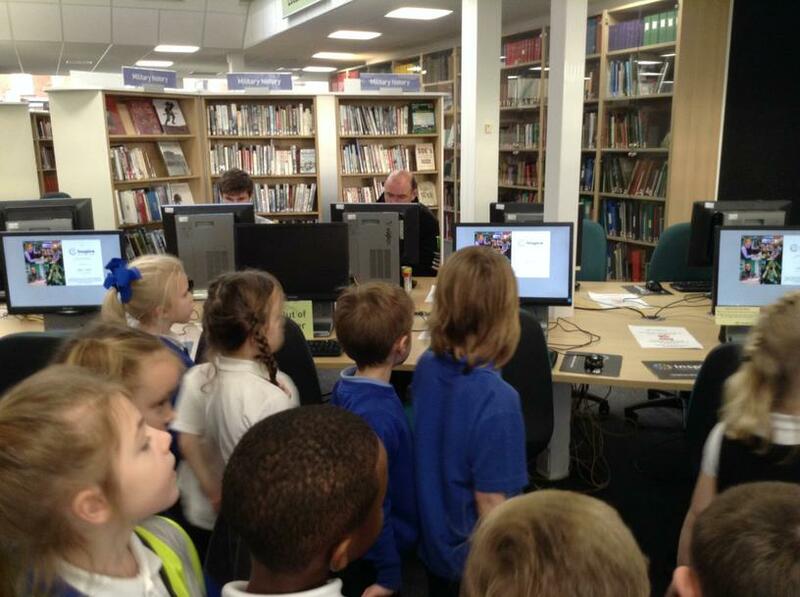 Meerkat Class thoroughly enjoyed visiting Newark library. 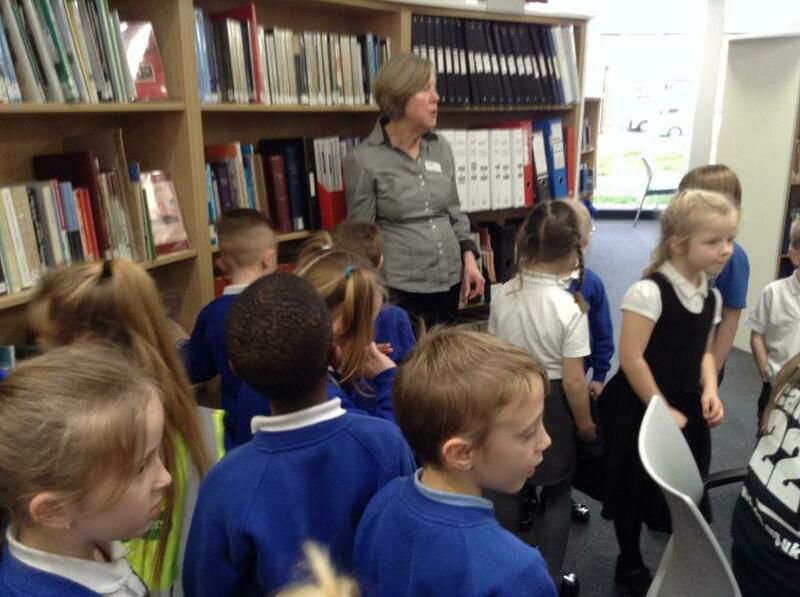 They explored the different areas of the library as well as the books. 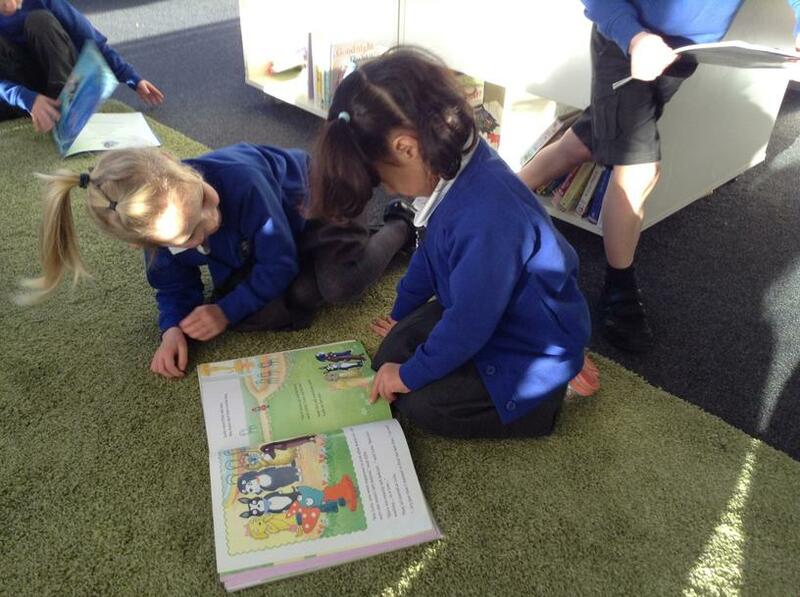 The children found unfamiliar traditional tales which we took out on loan to read at story time. 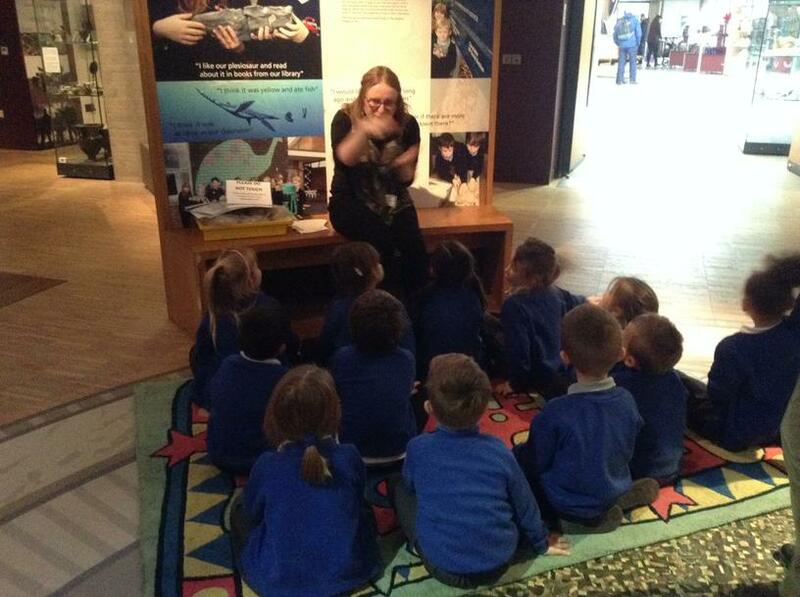 Lots of children said they were excited to visit again!